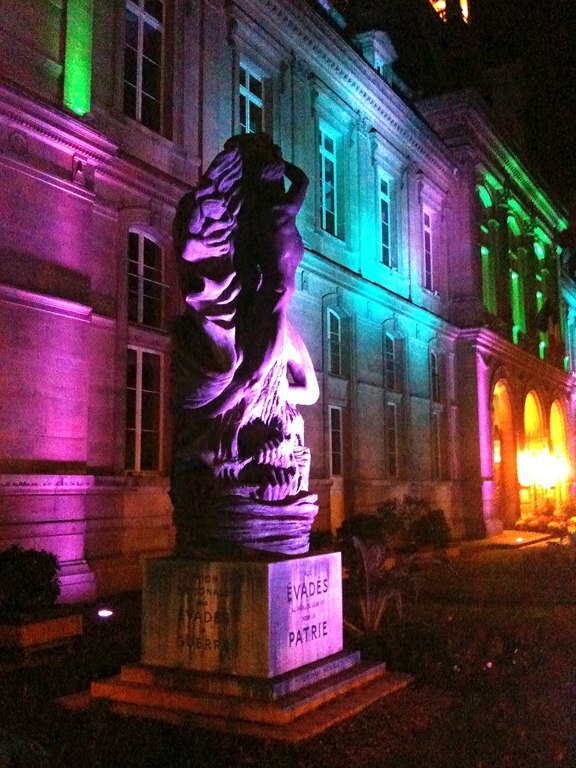 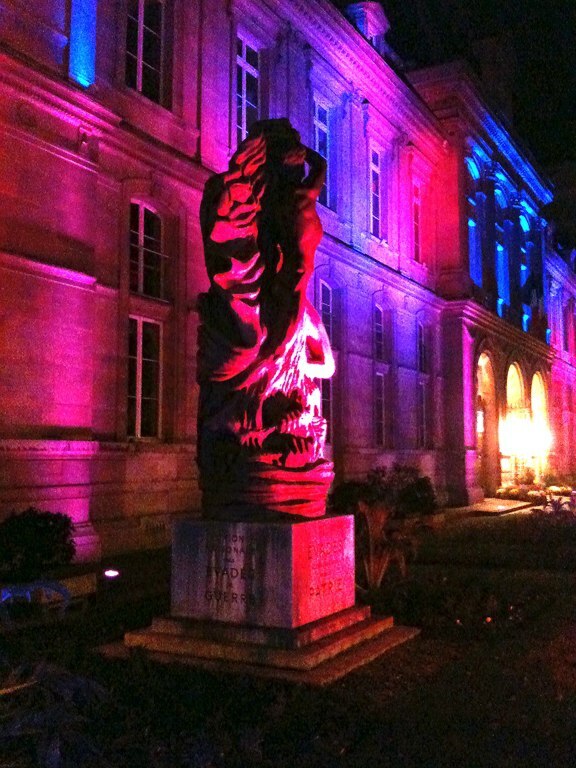 Paris Garden City Hall of the 16th Arr. 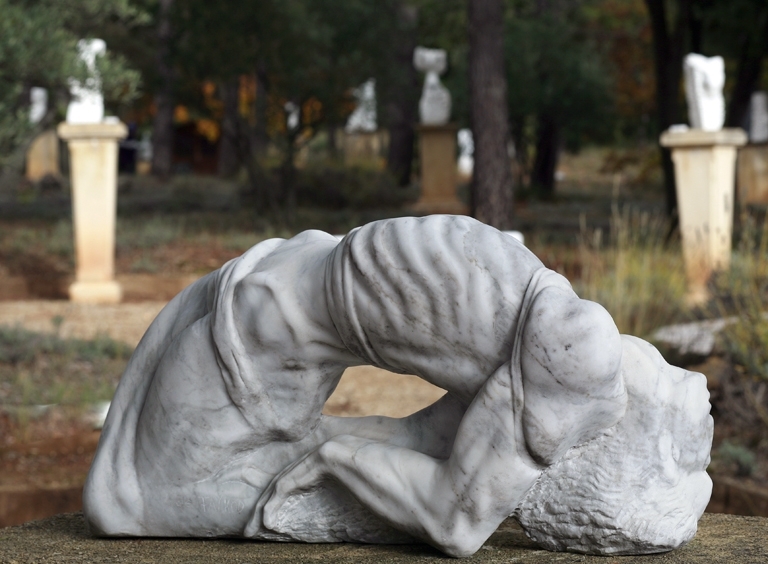 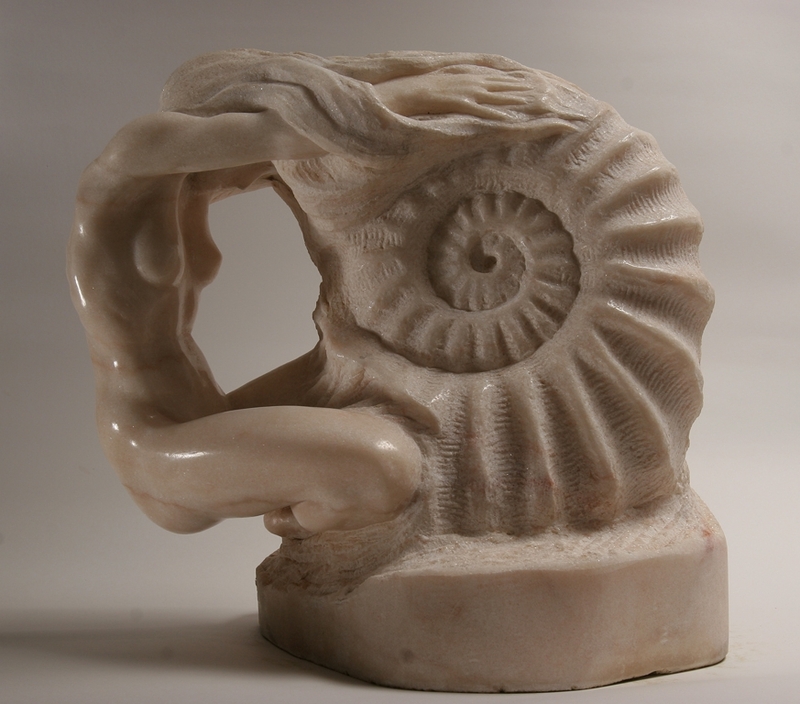 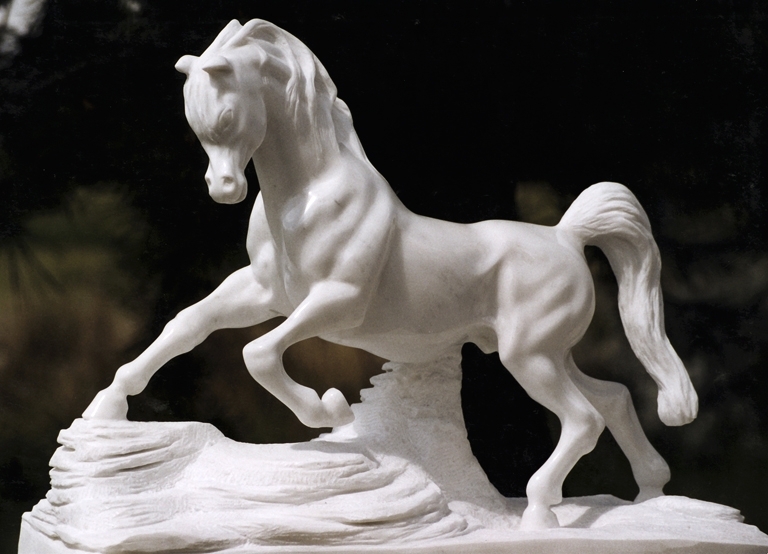 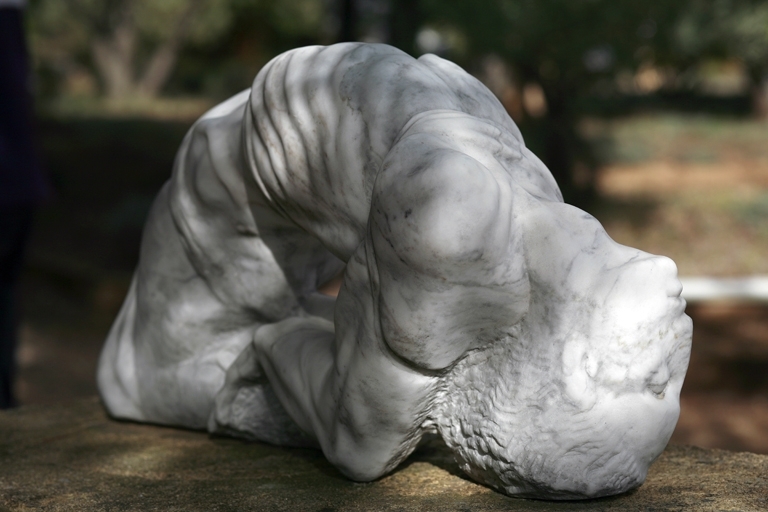 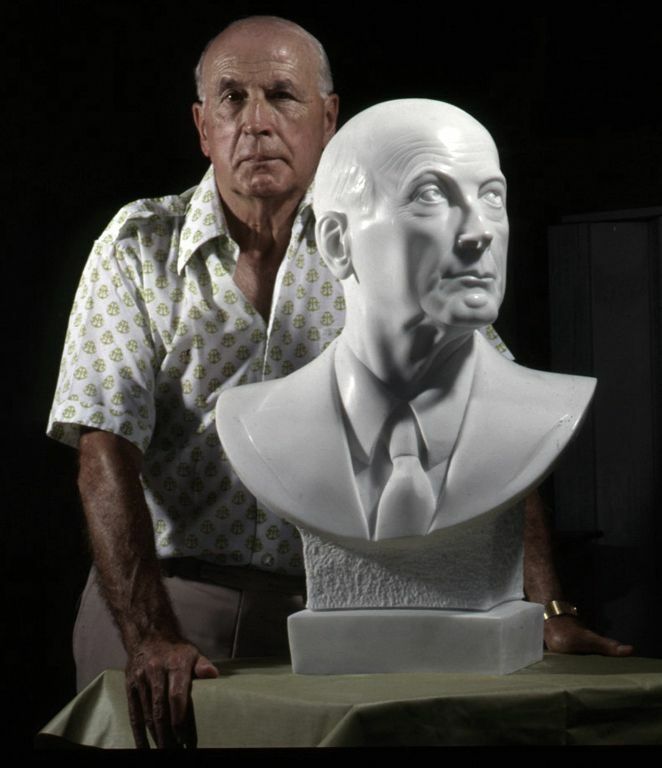 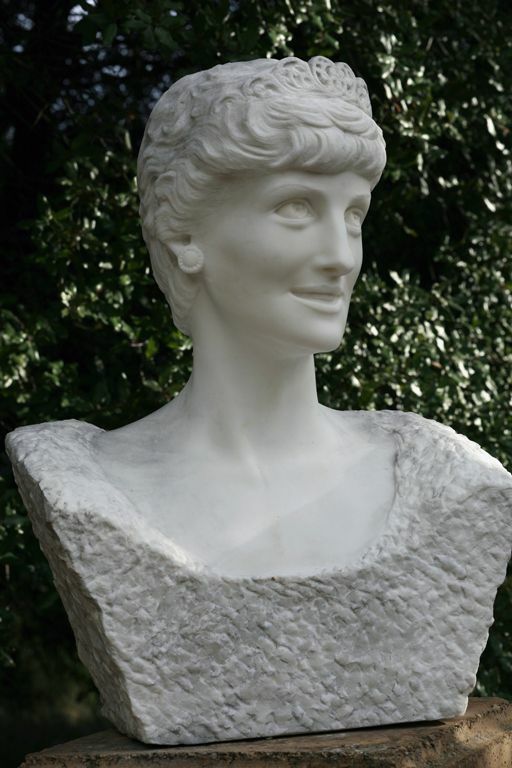 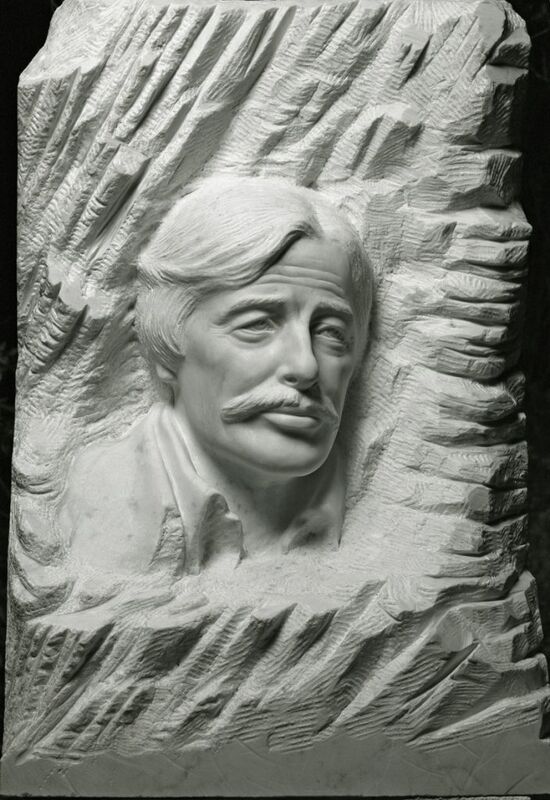 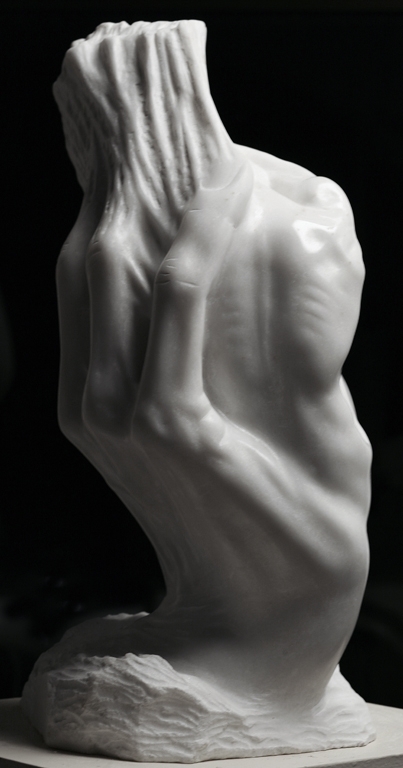 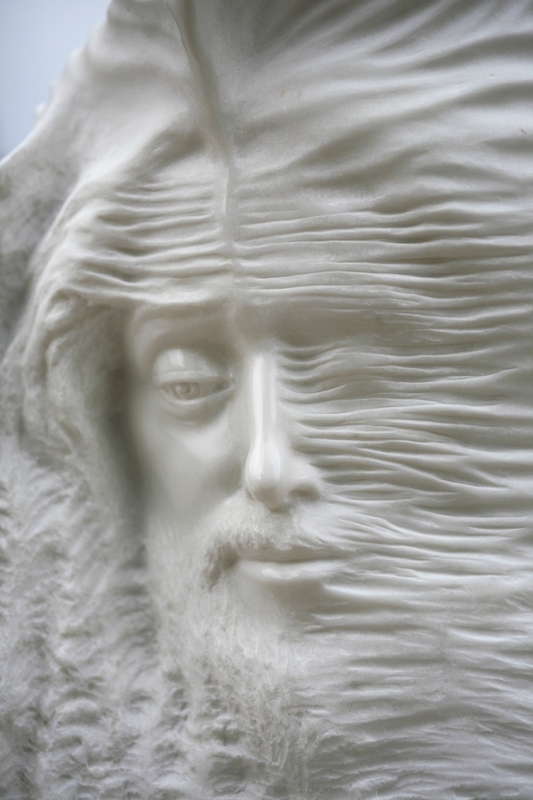 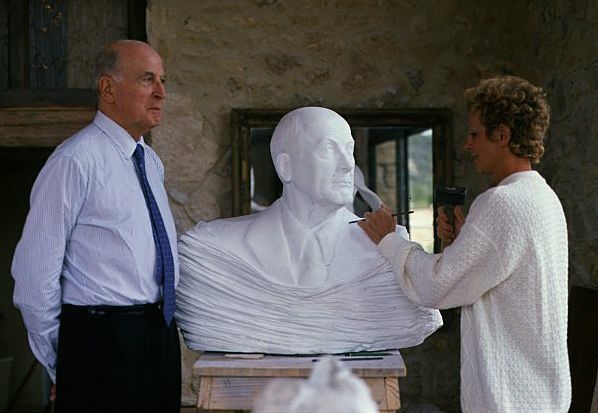 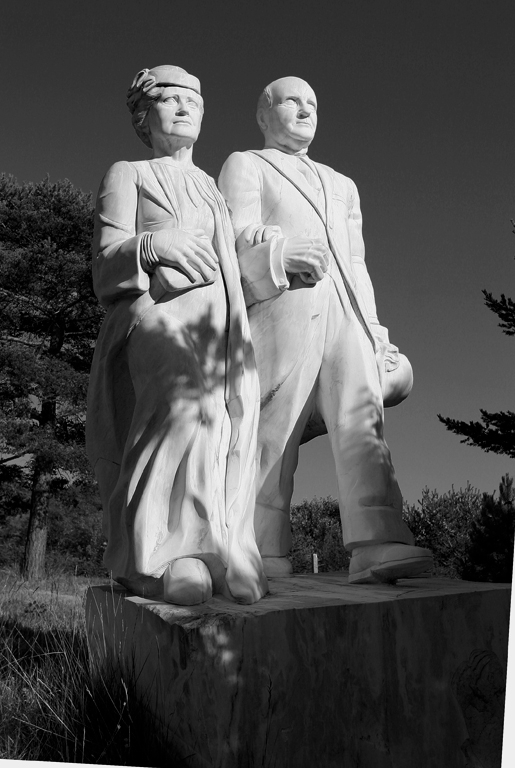 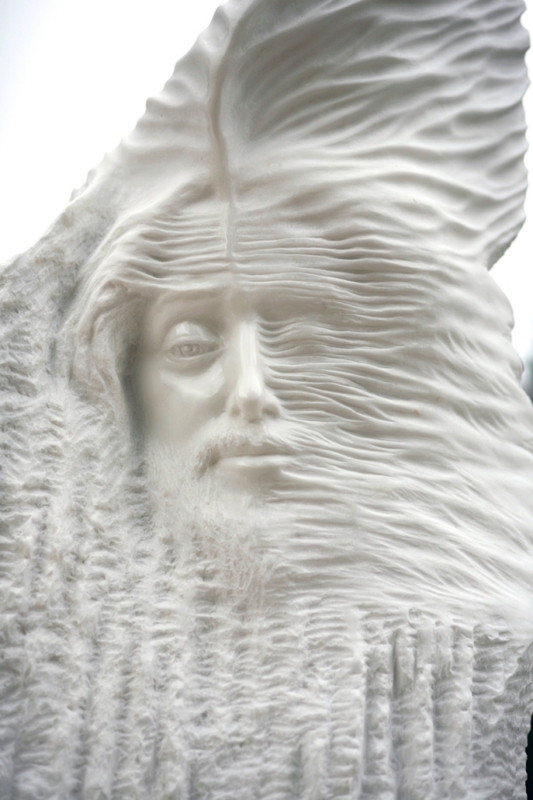 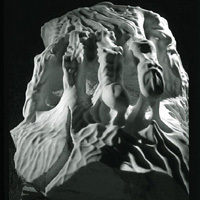 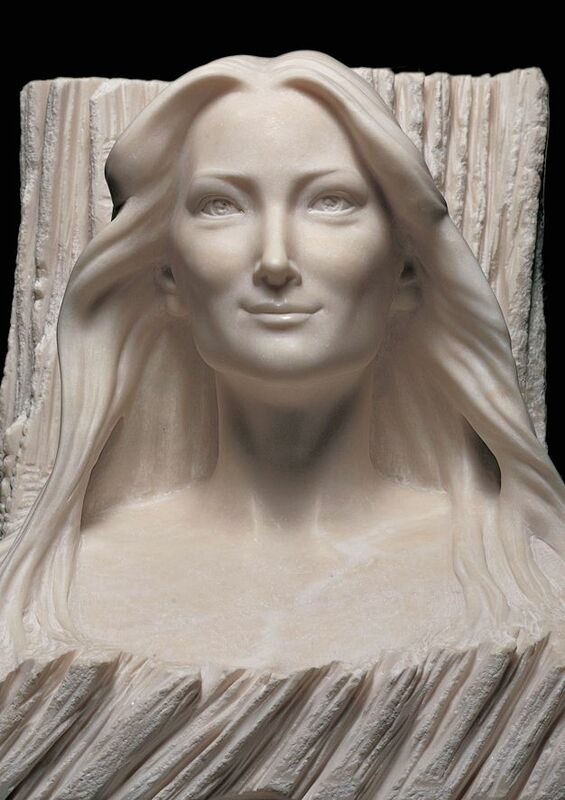 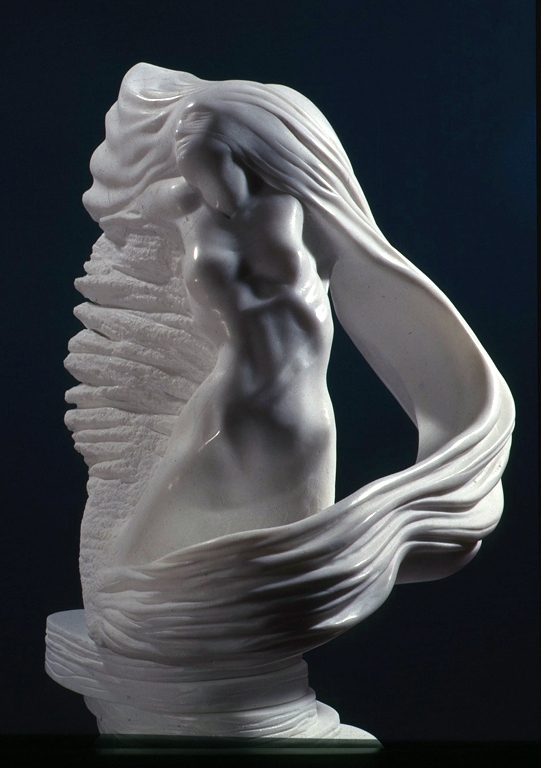 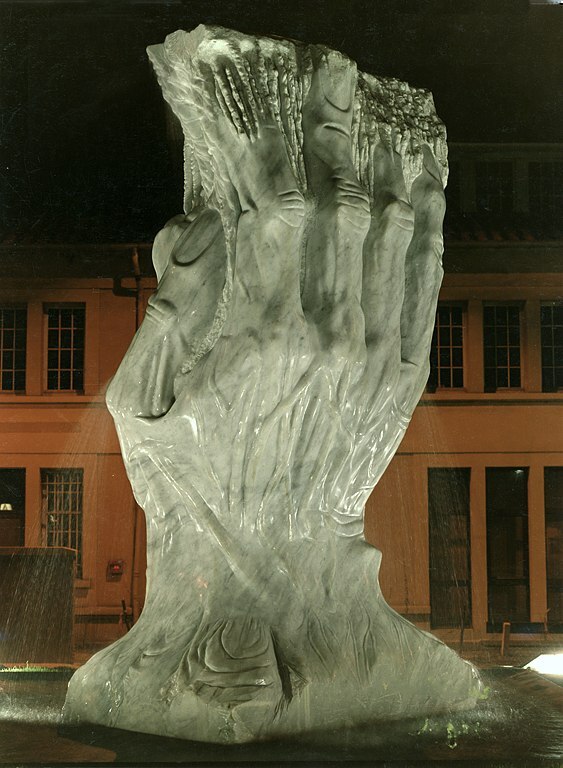 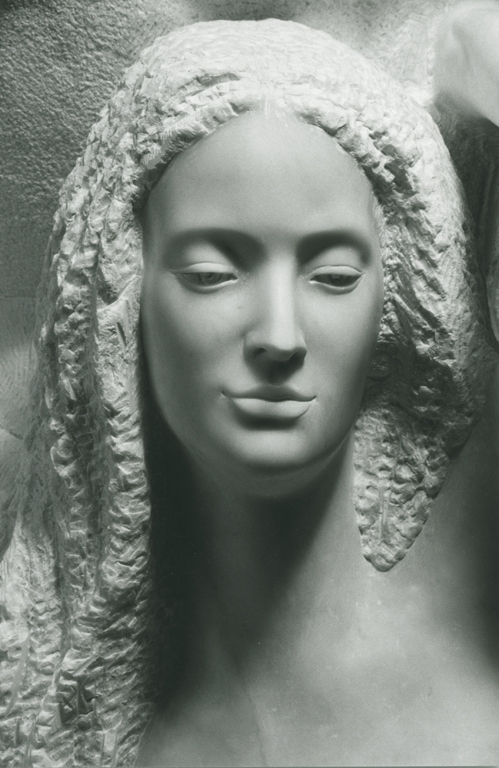 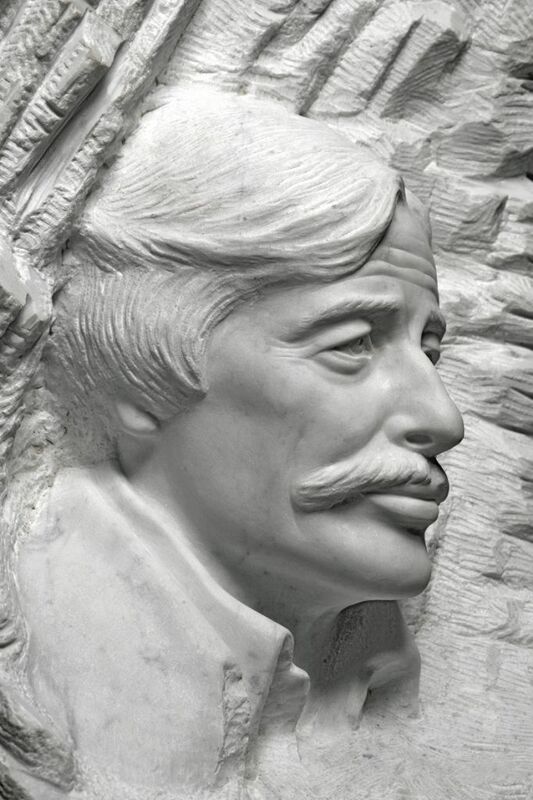 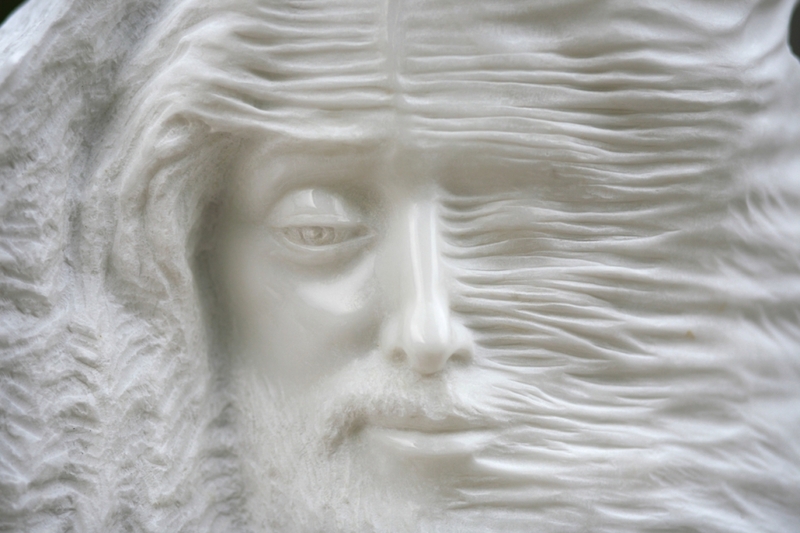 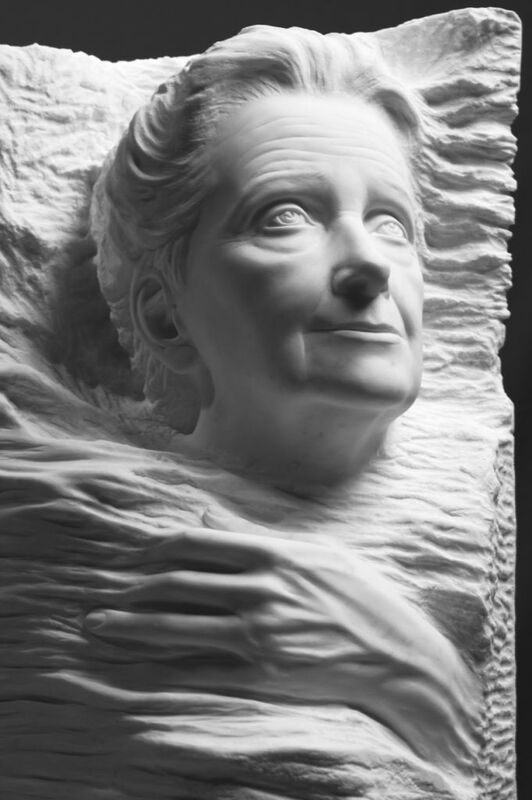 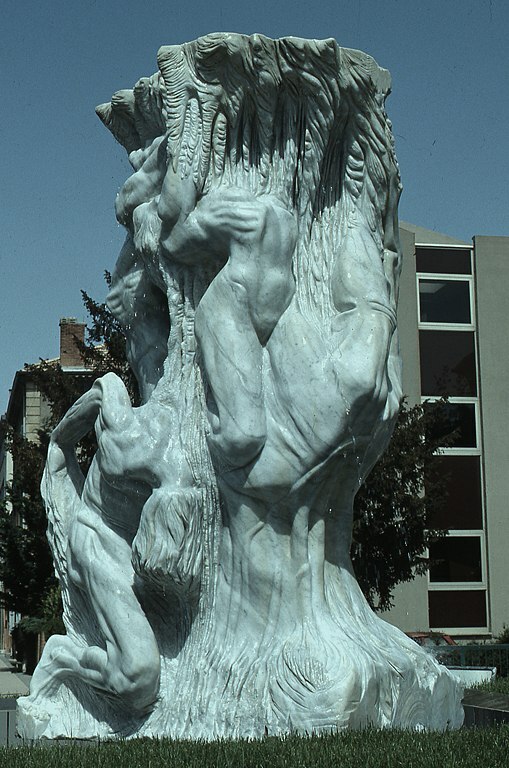 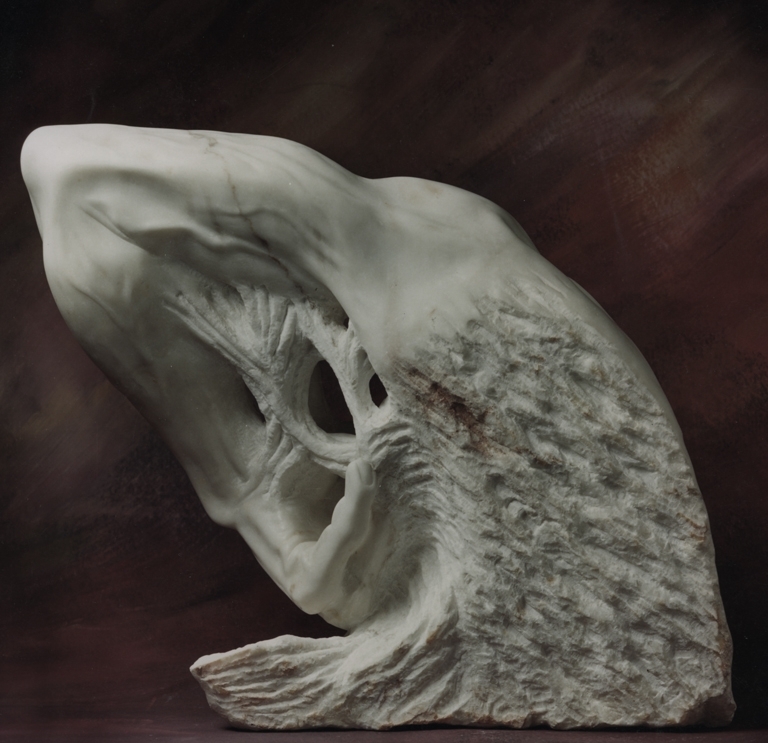 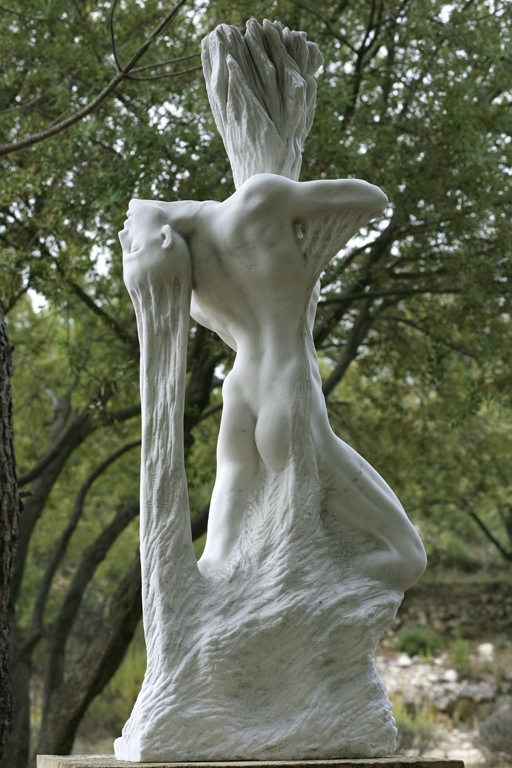 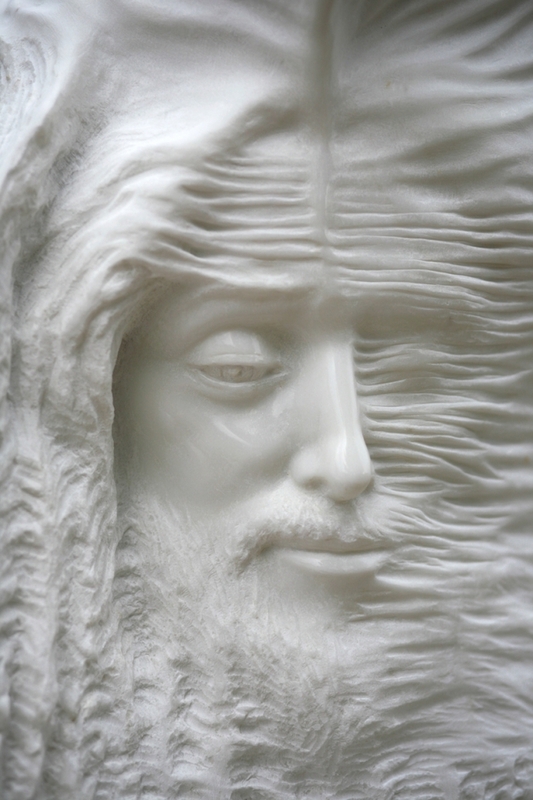 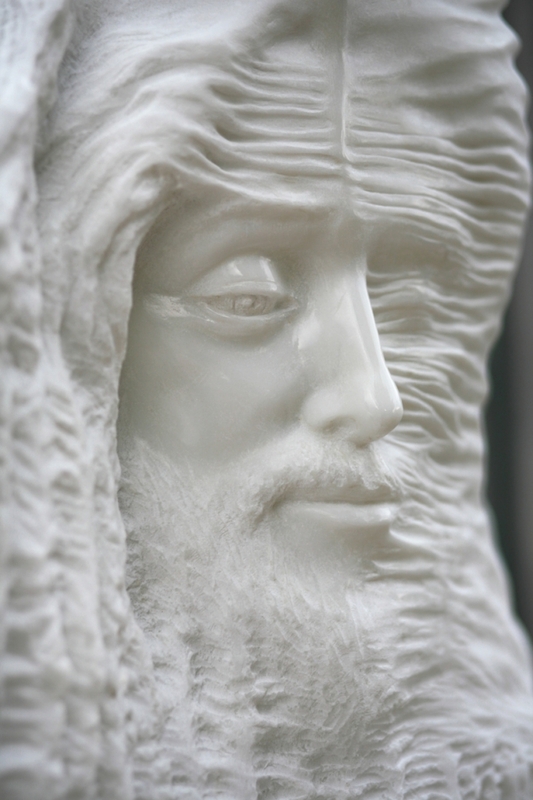 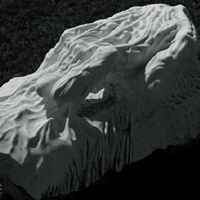 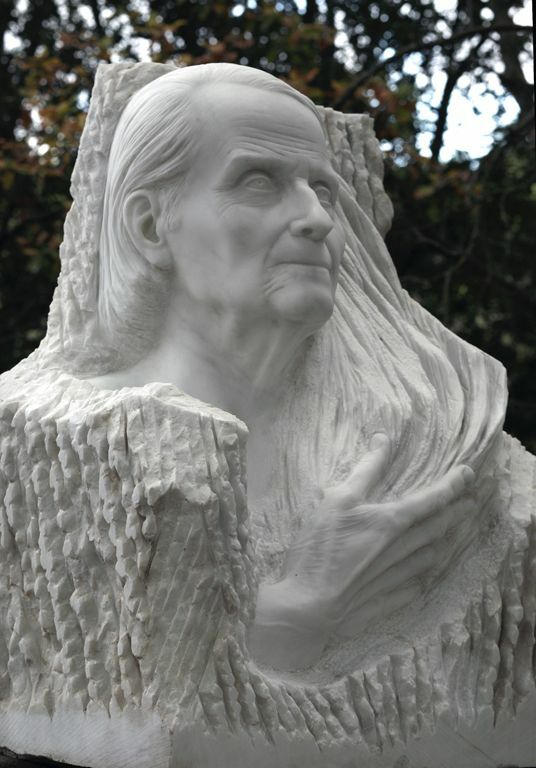 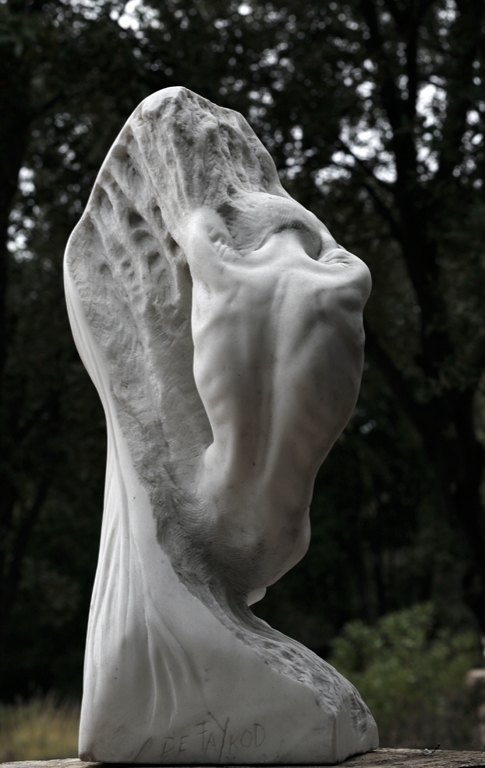 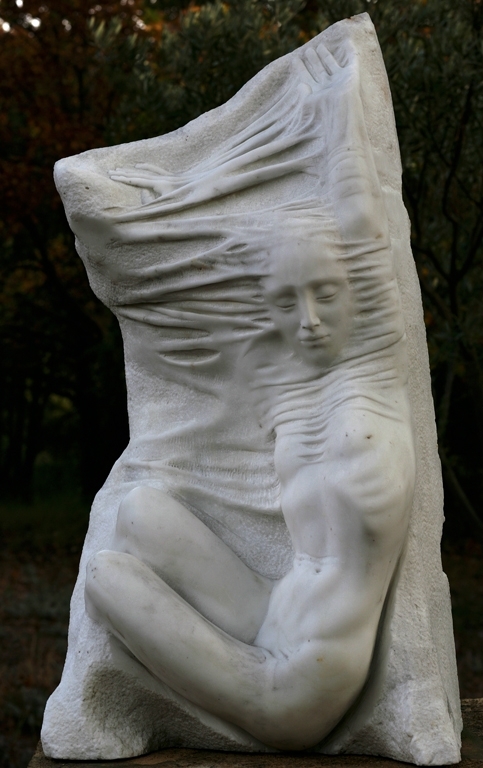 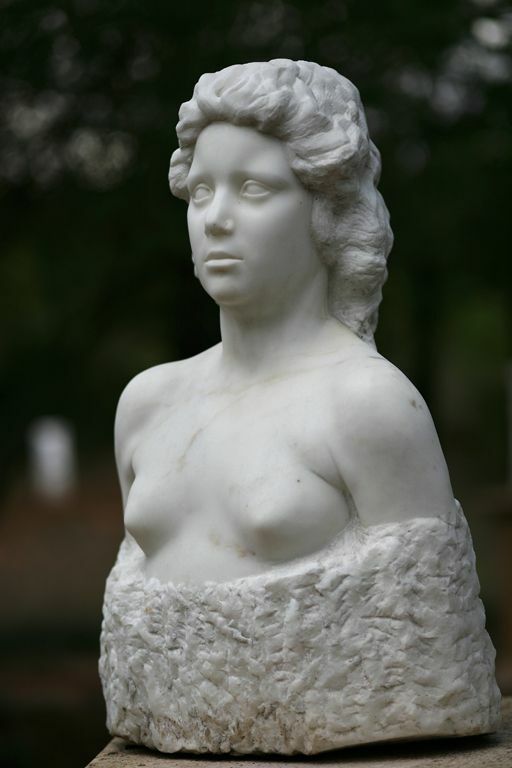 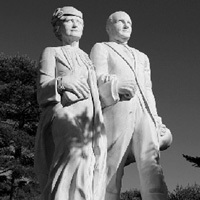 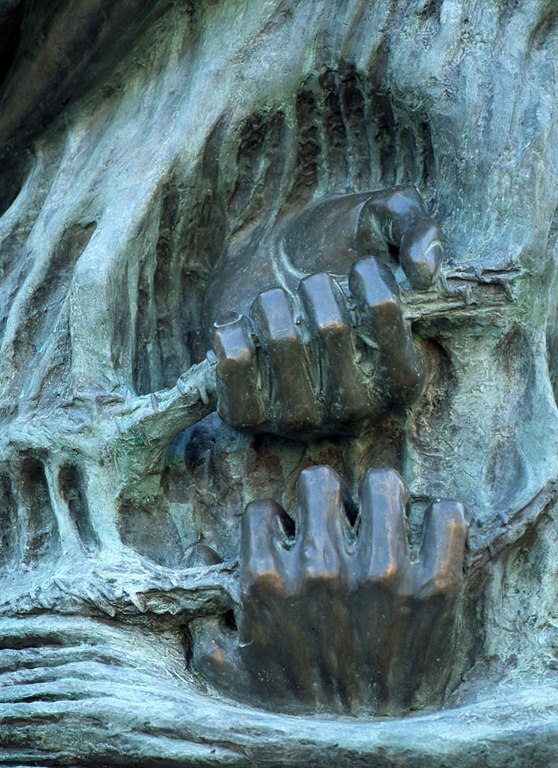 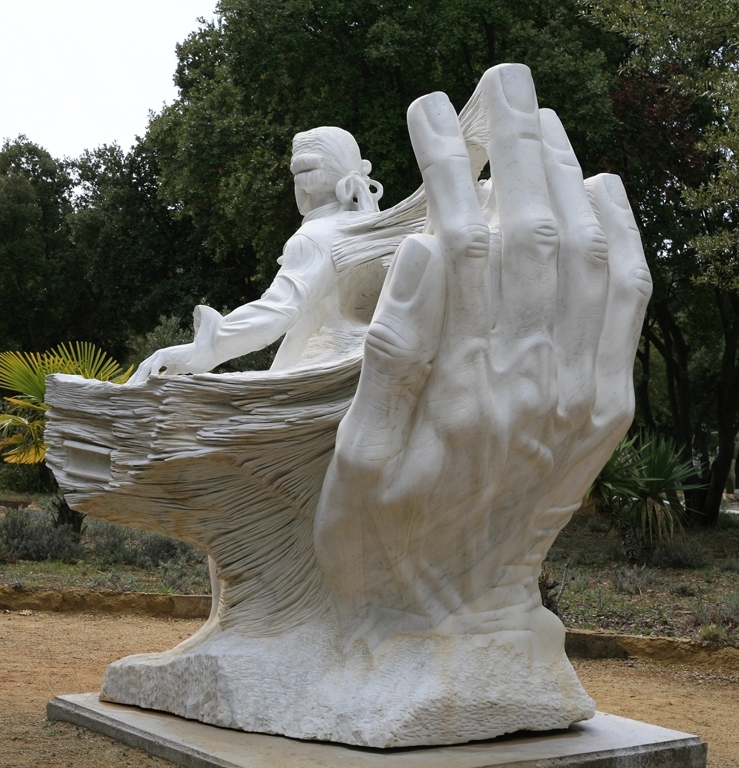 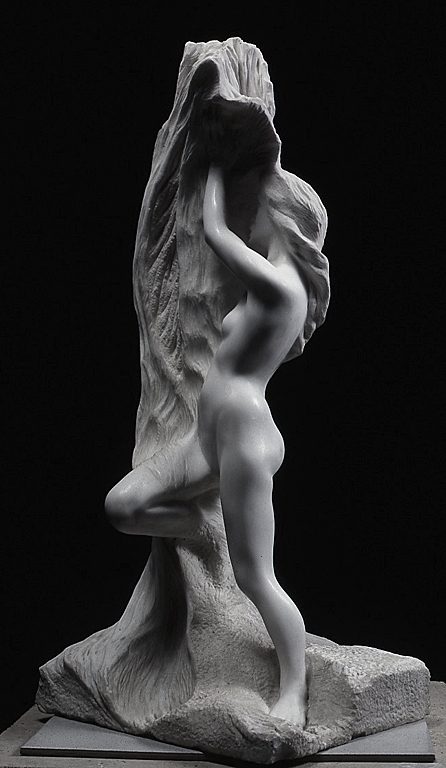 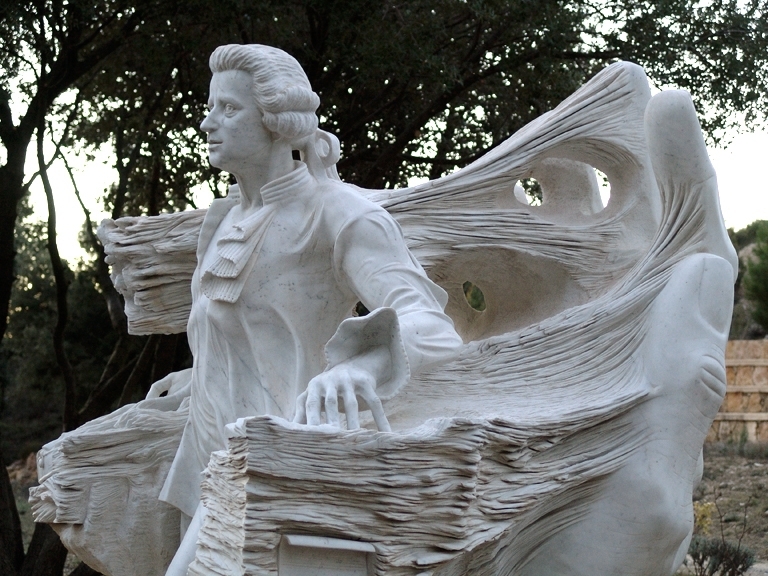 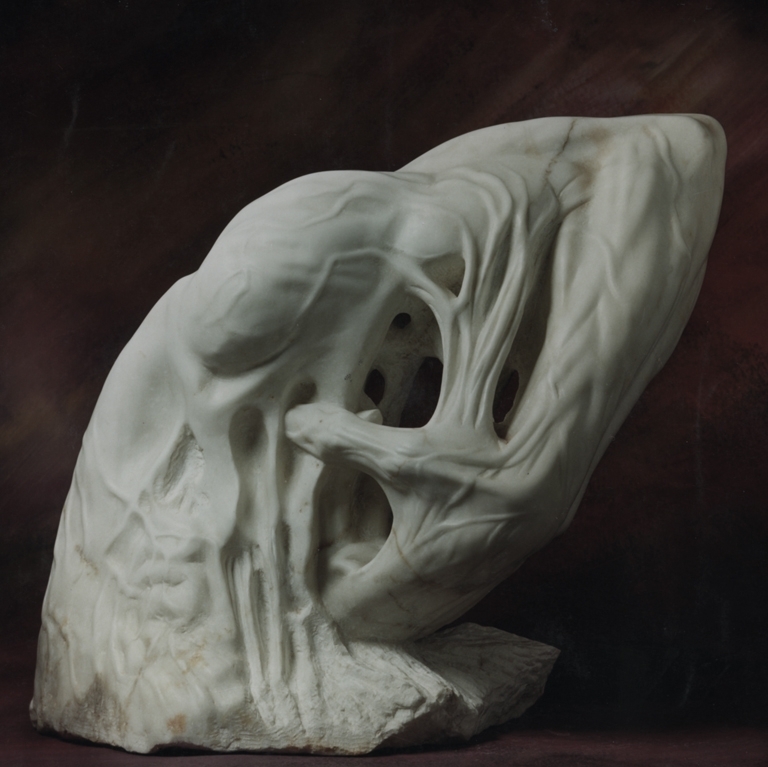 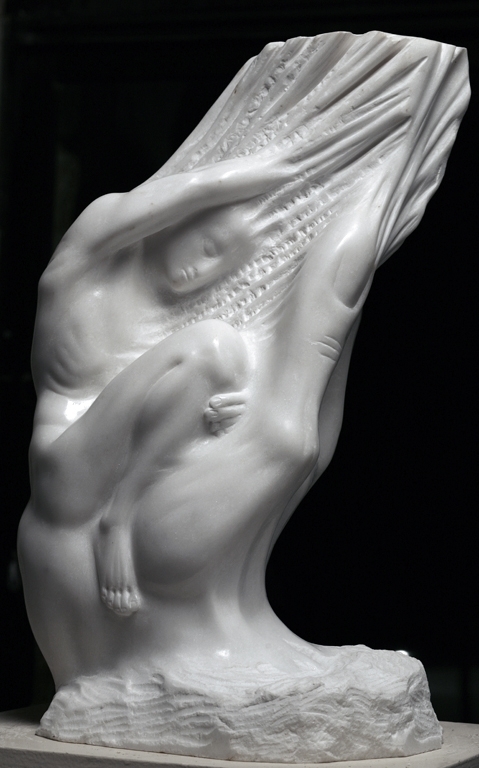 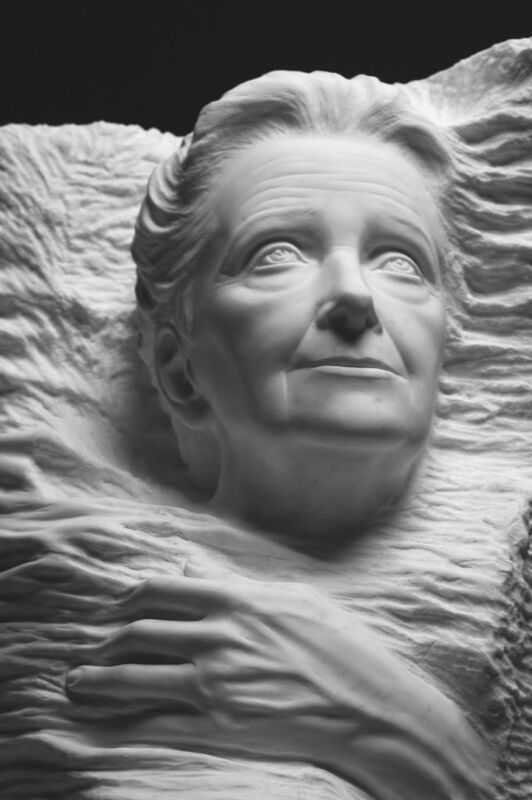 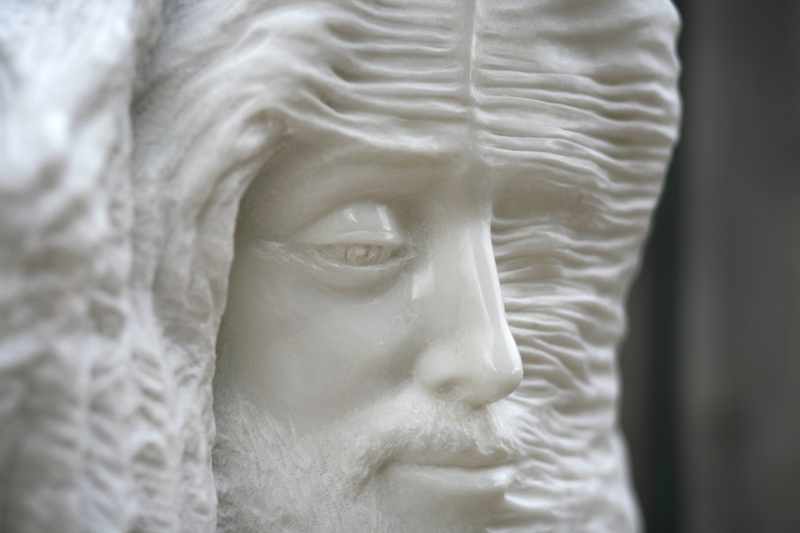 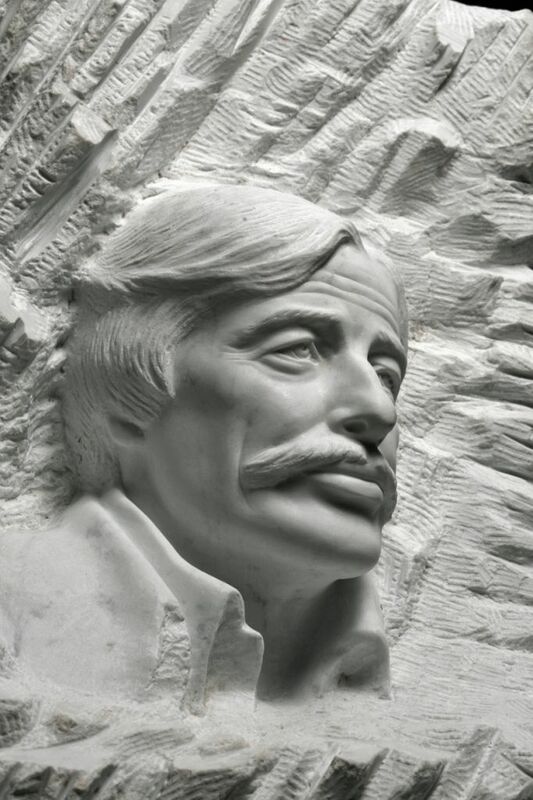 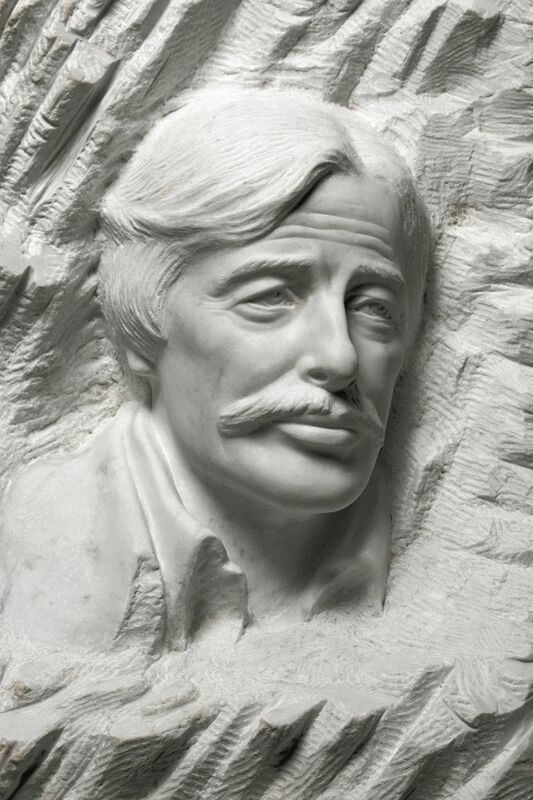 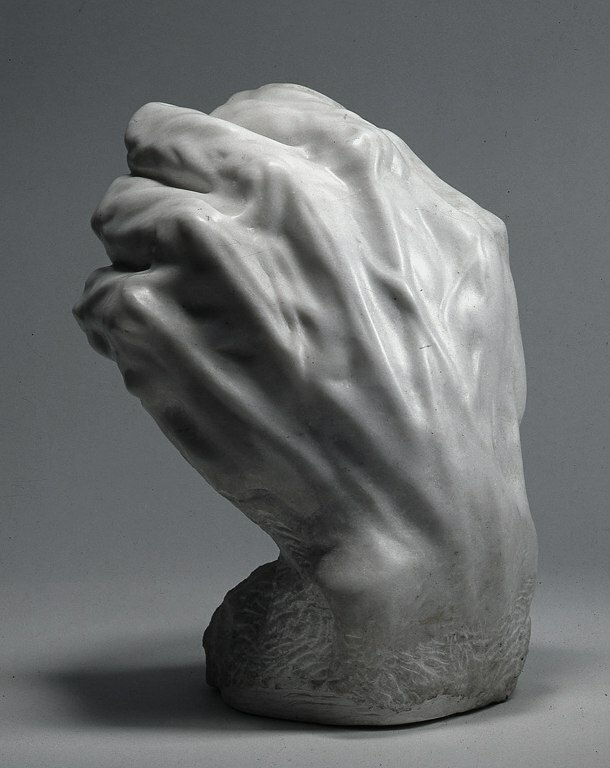 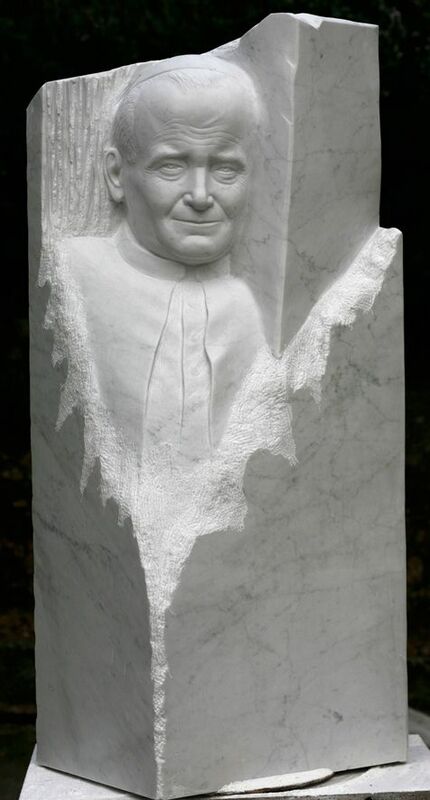 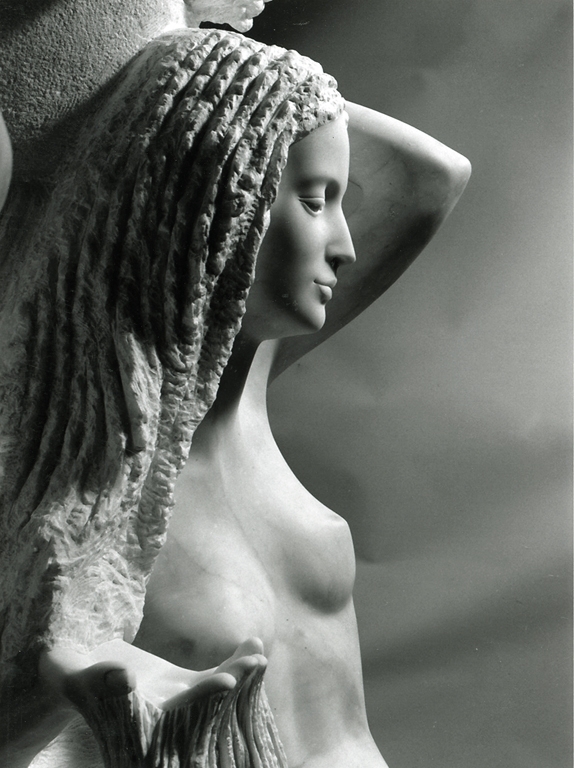 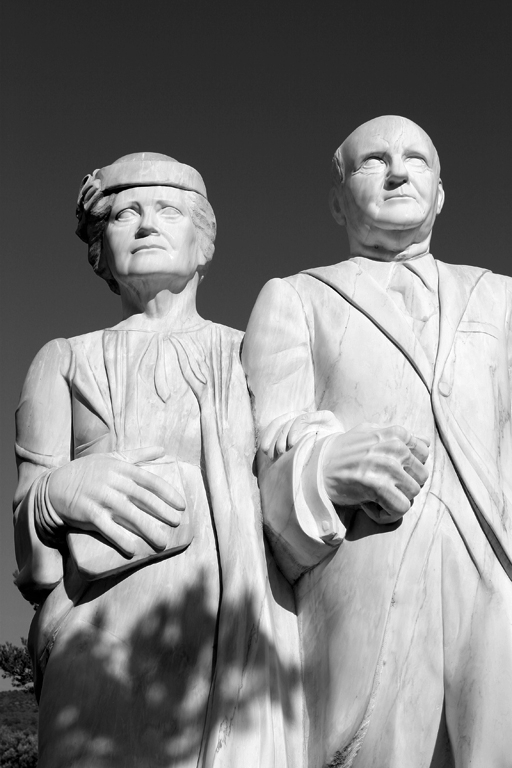 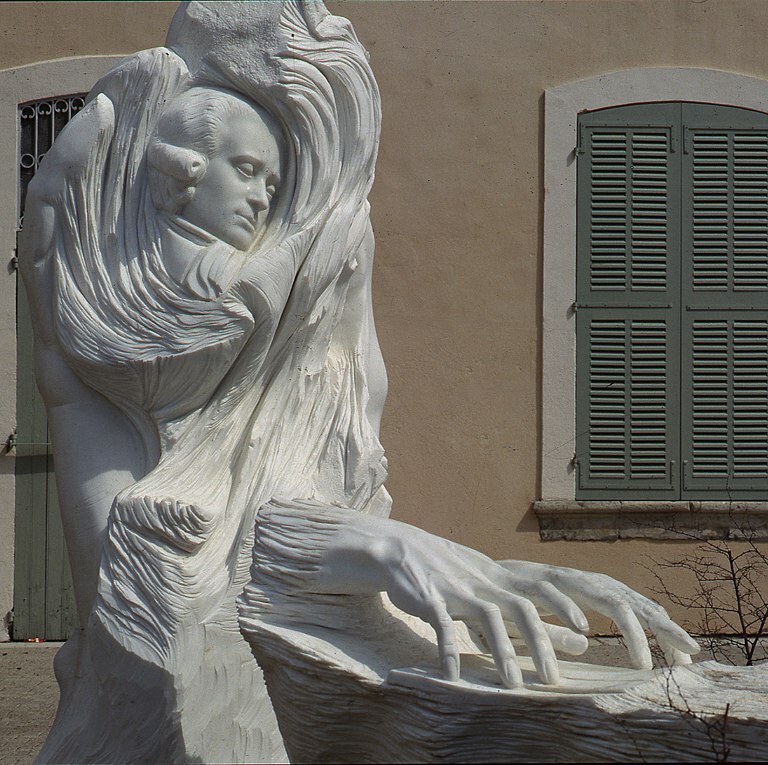 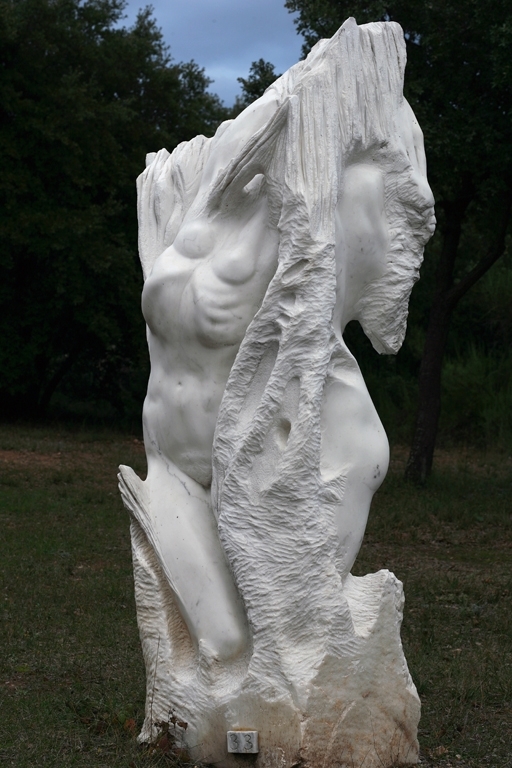 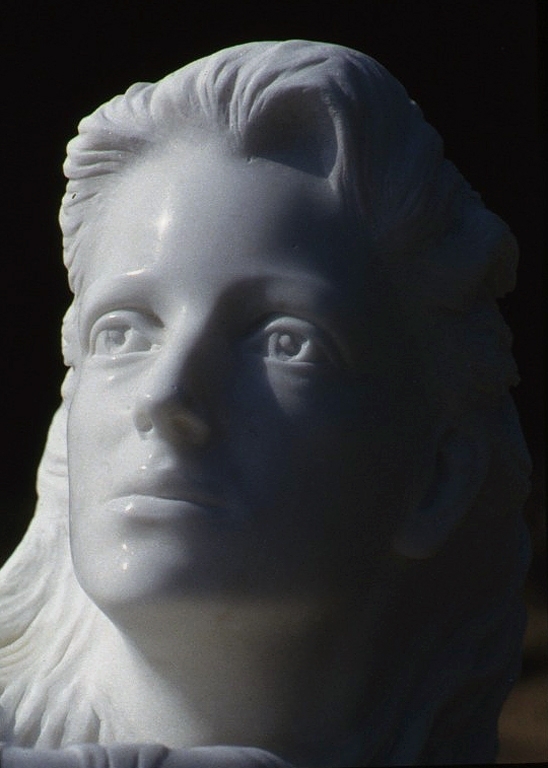 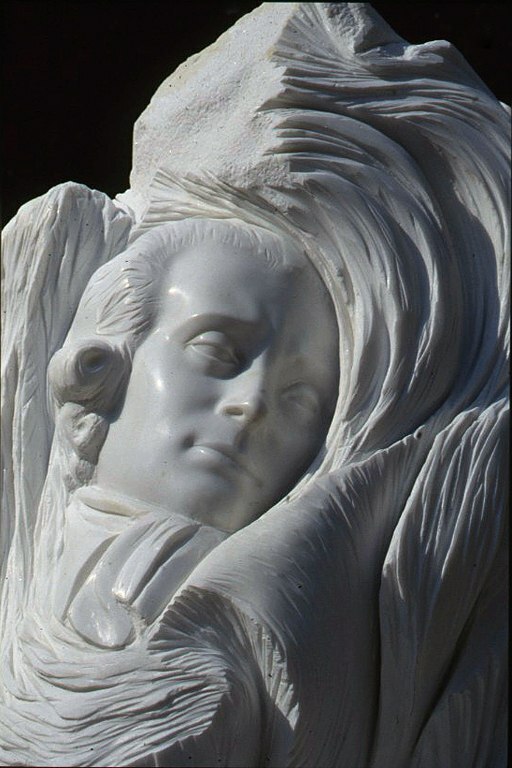 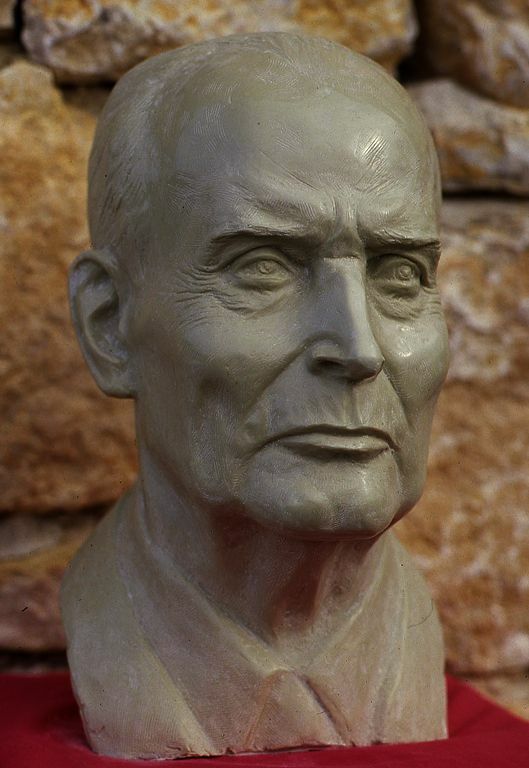 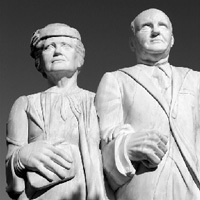 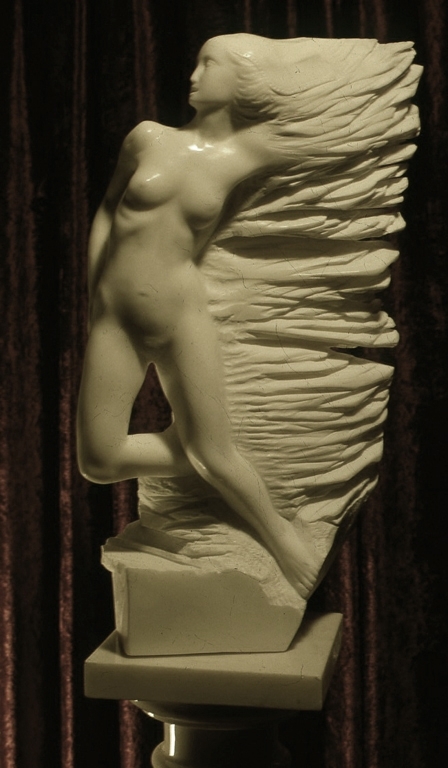 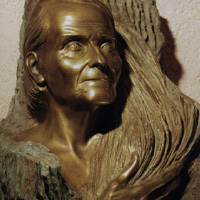 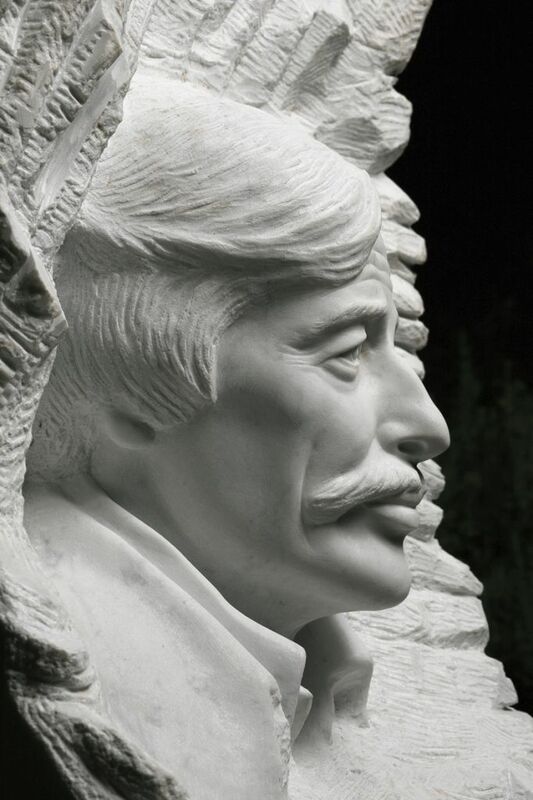 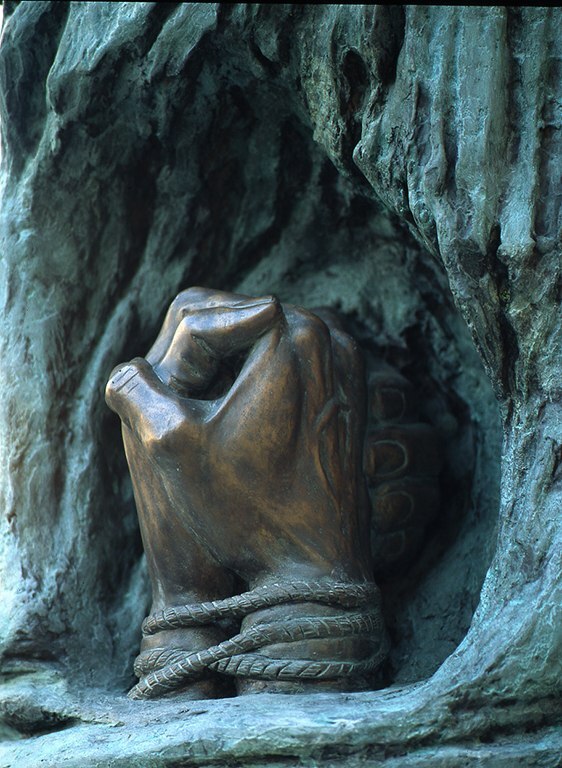 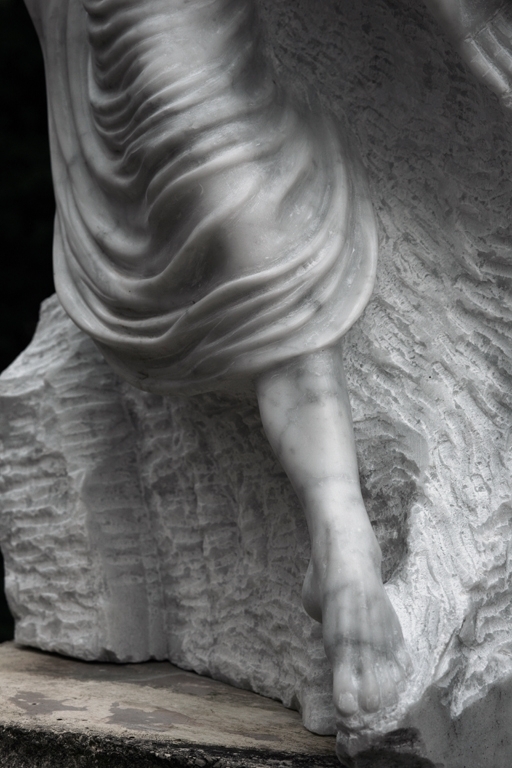 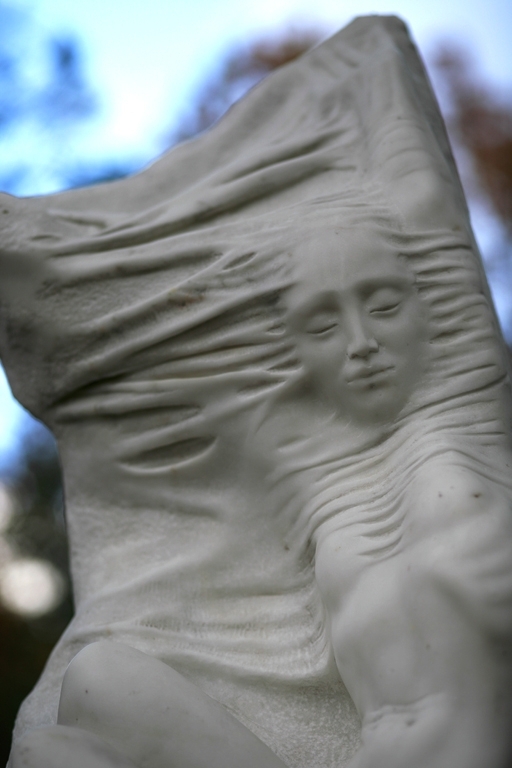 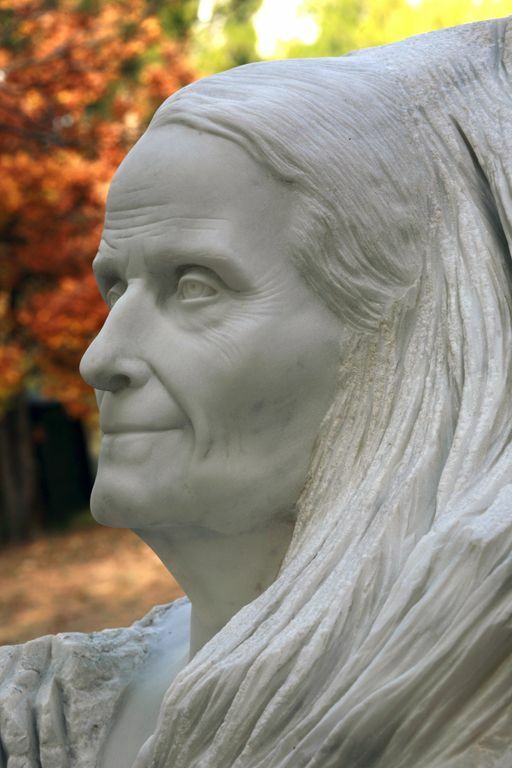 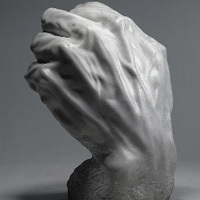 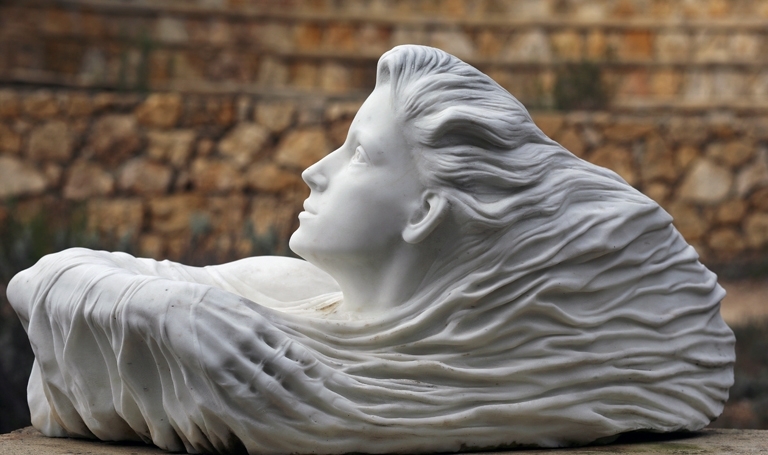 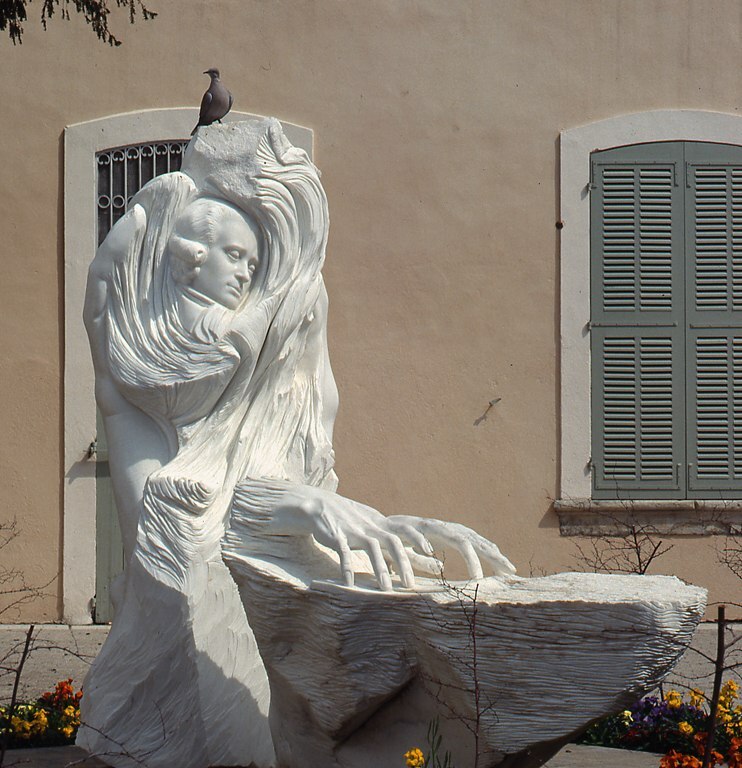 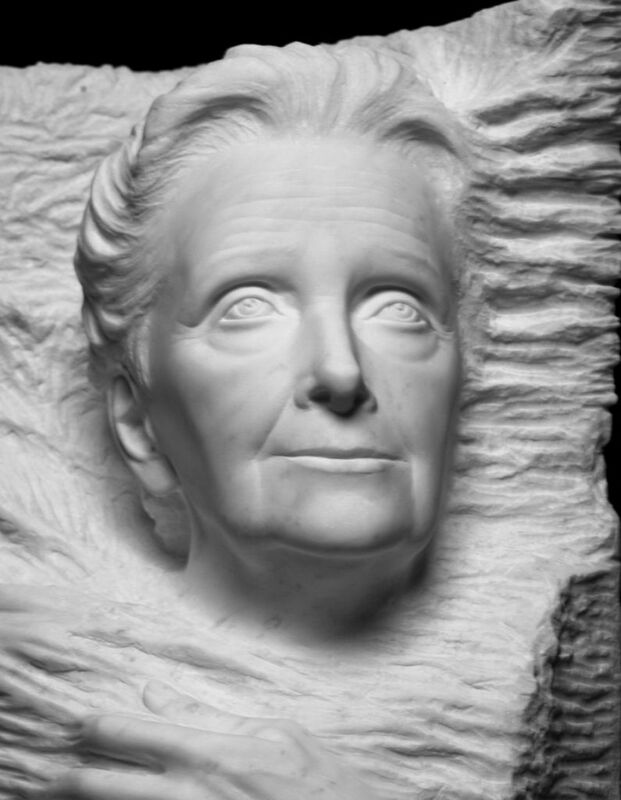 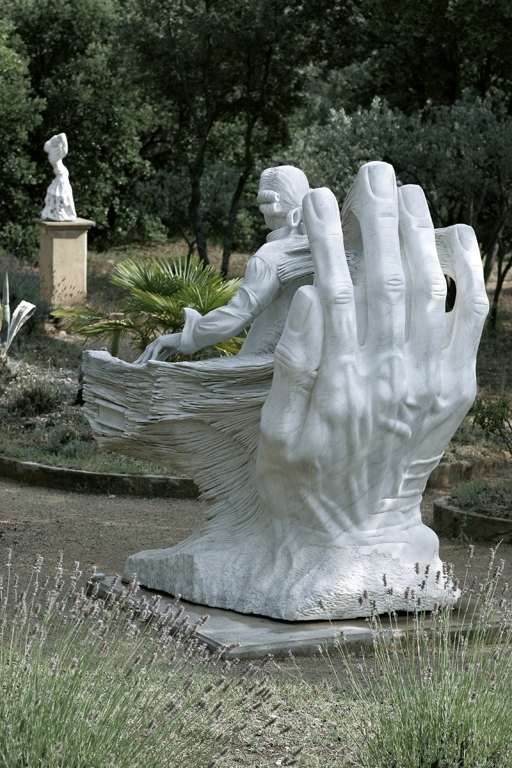 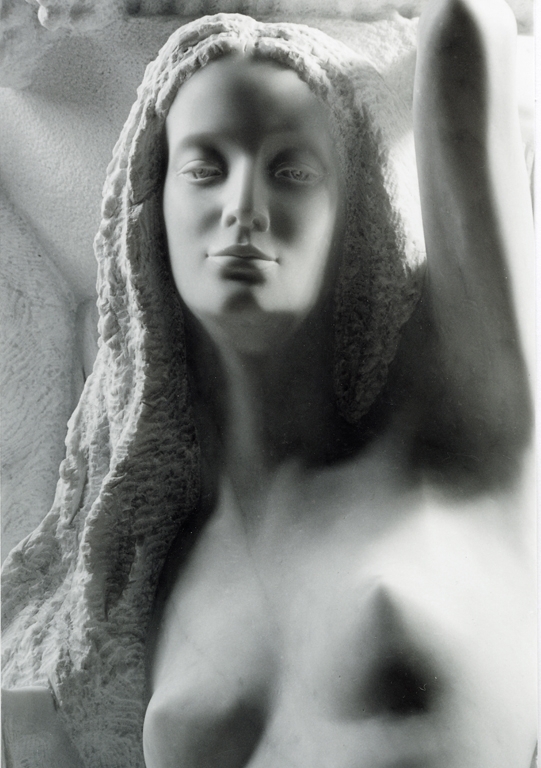 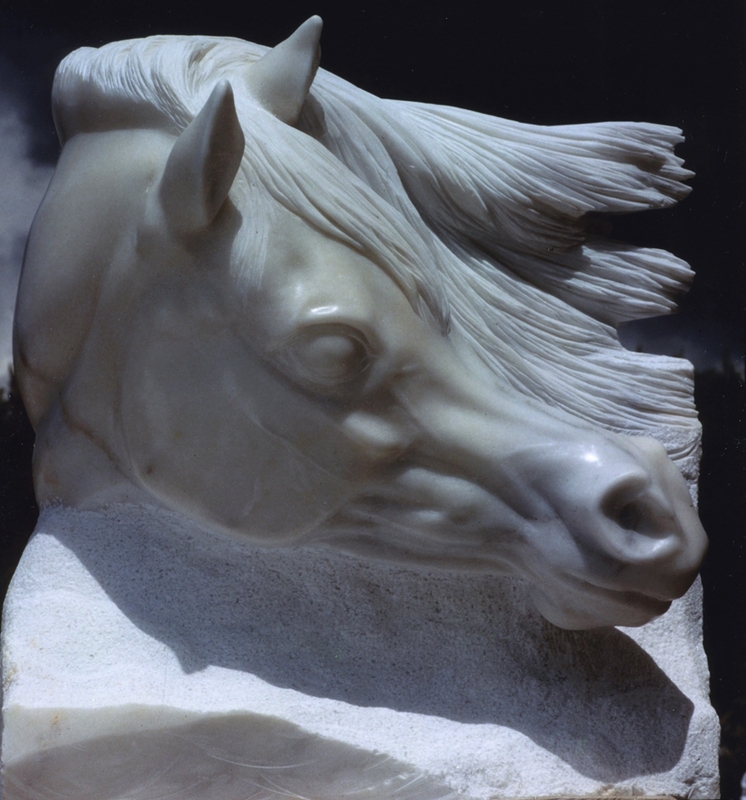 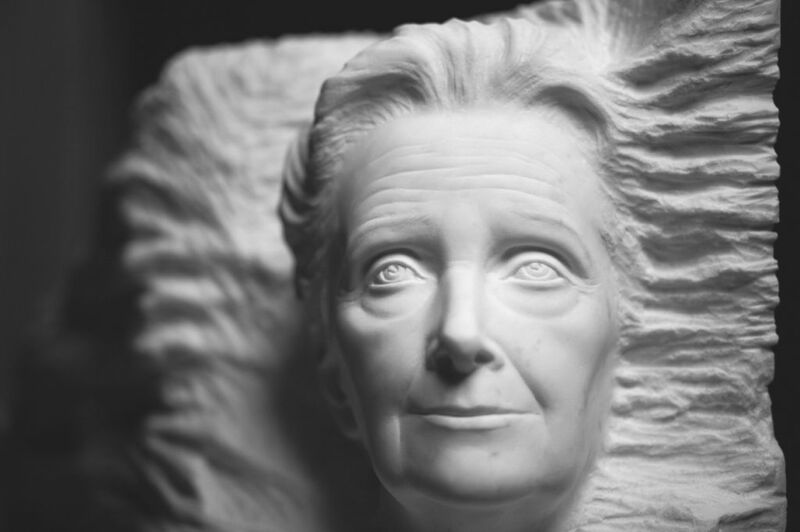 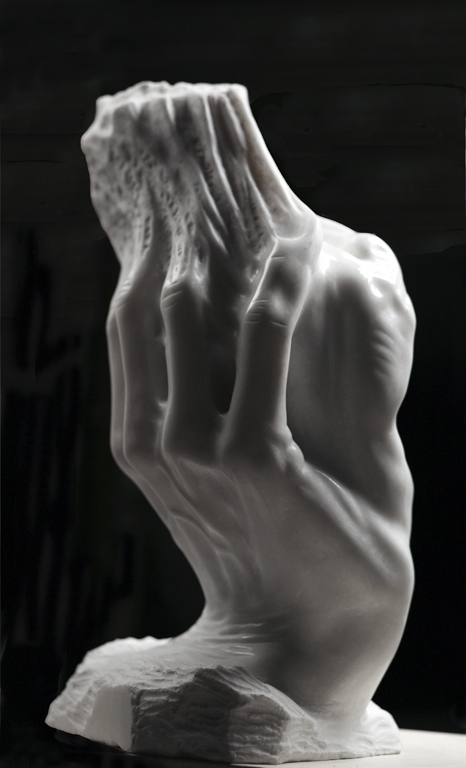 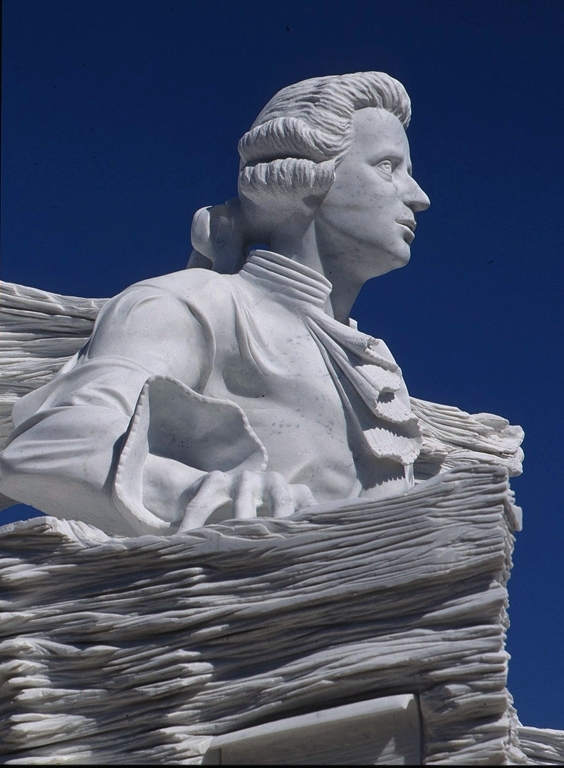 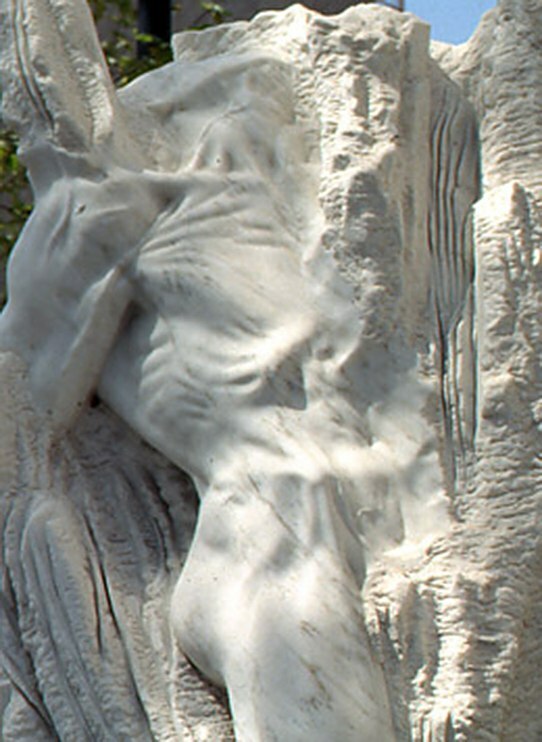 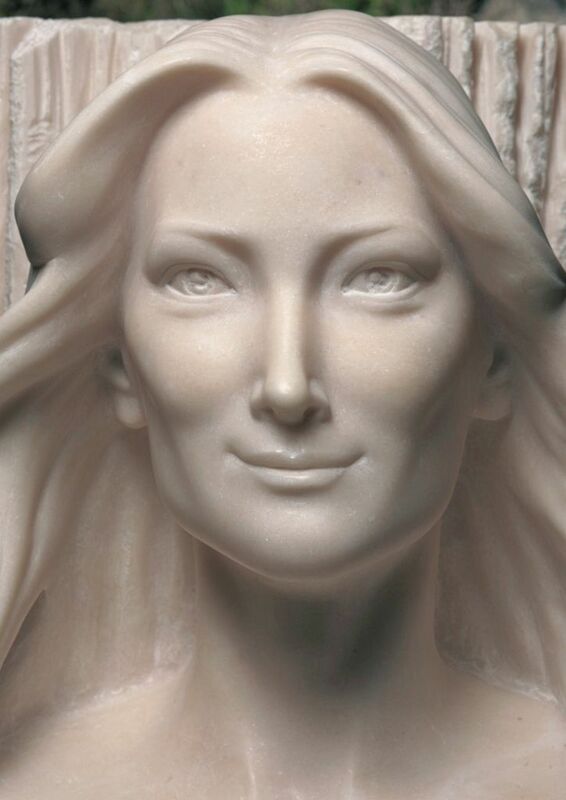 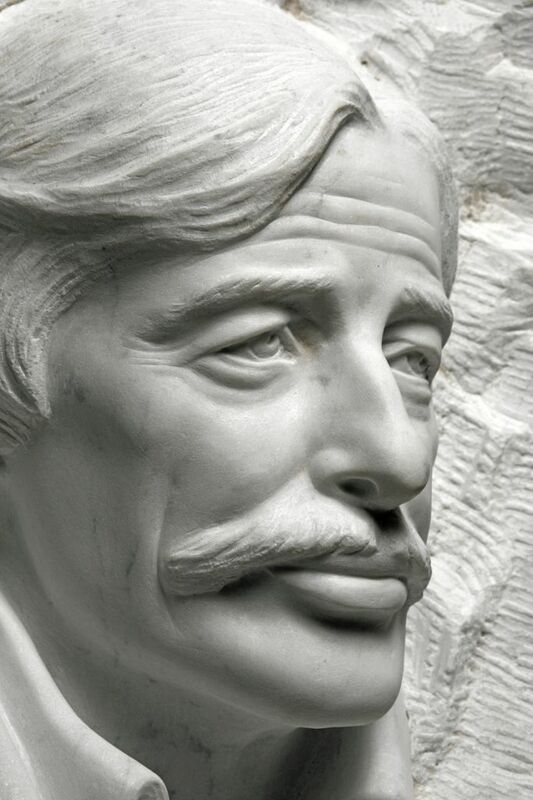 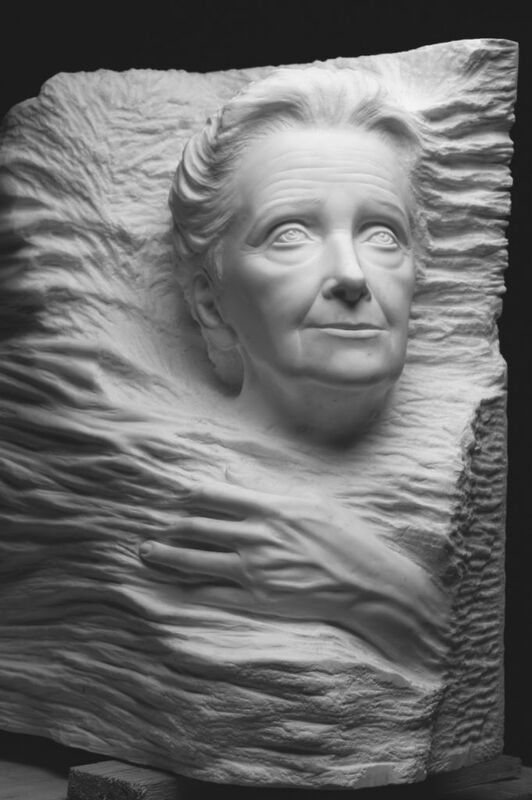 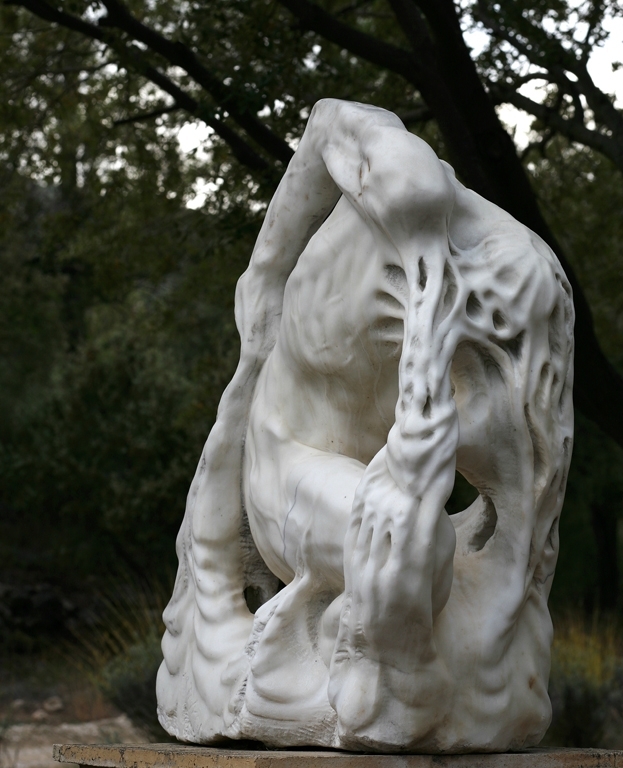 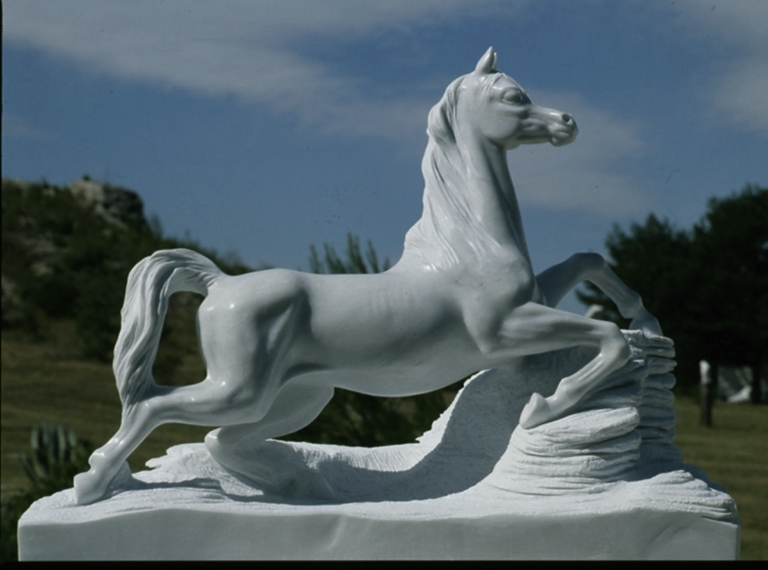 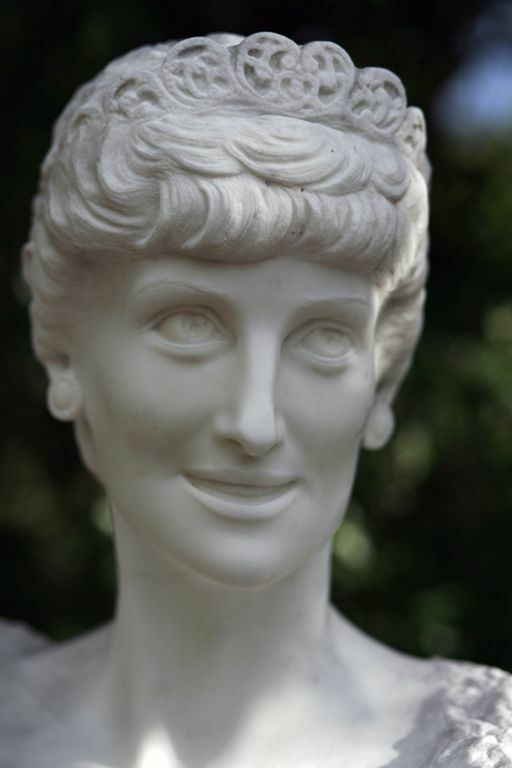 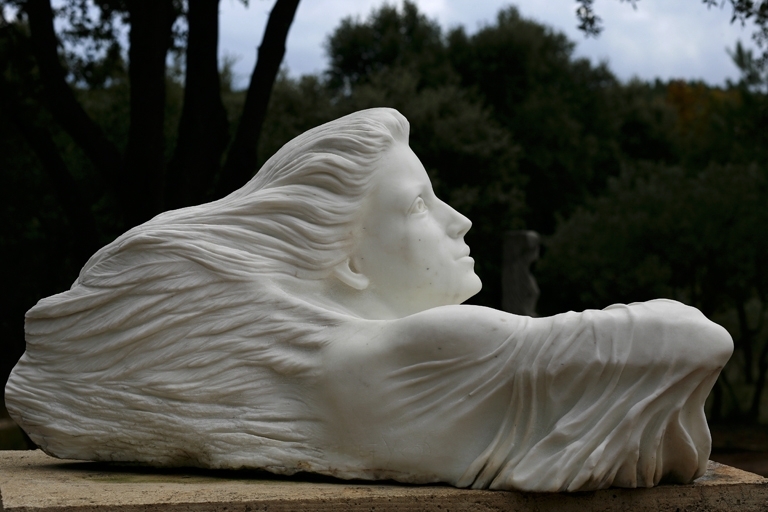 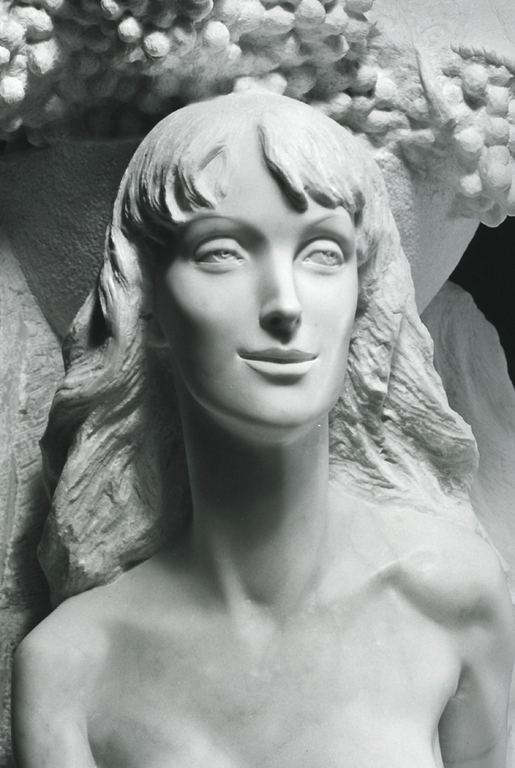 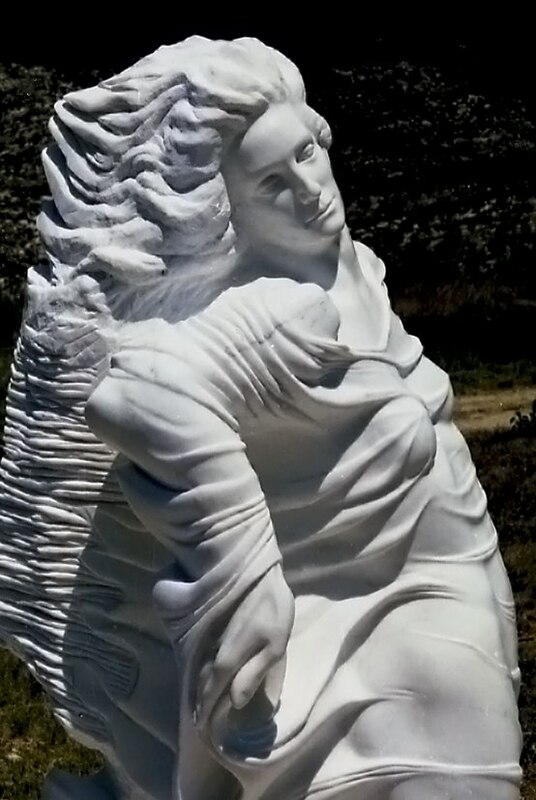 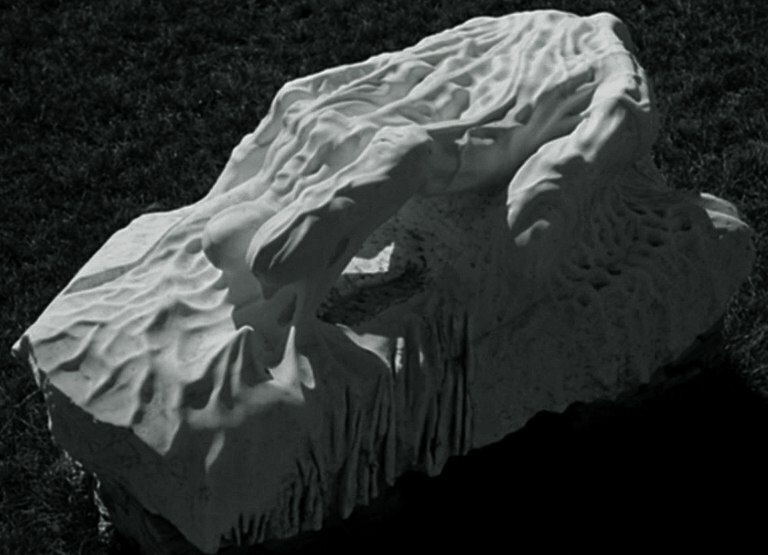 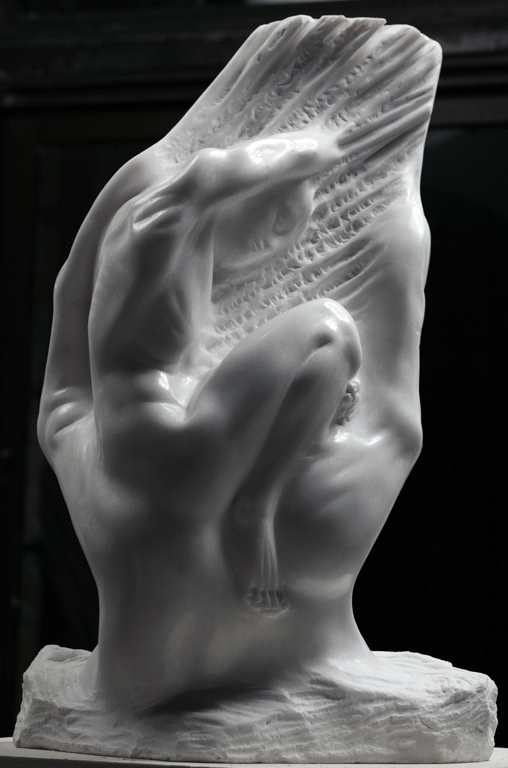 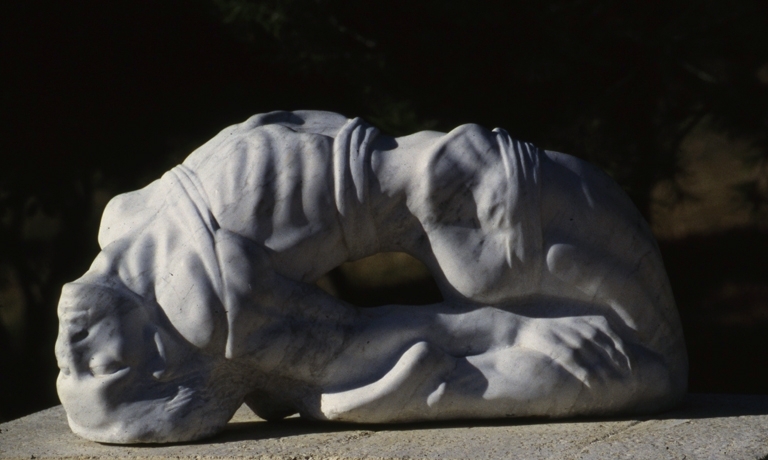 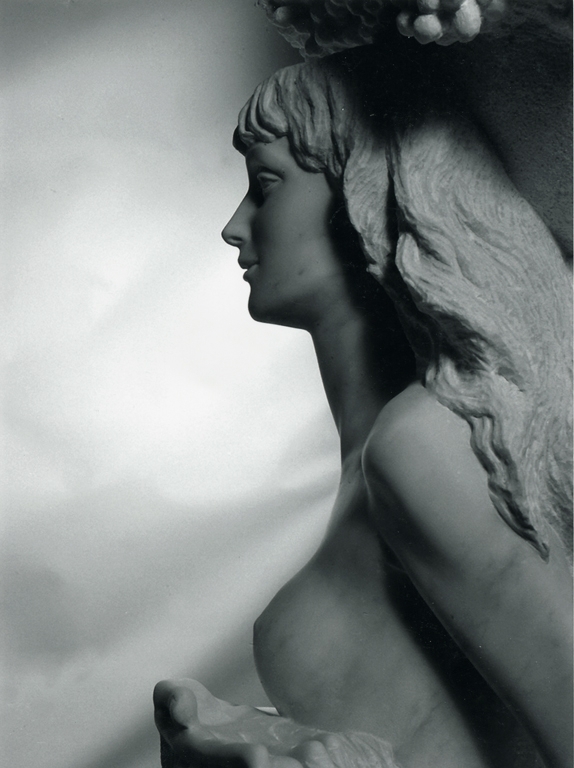 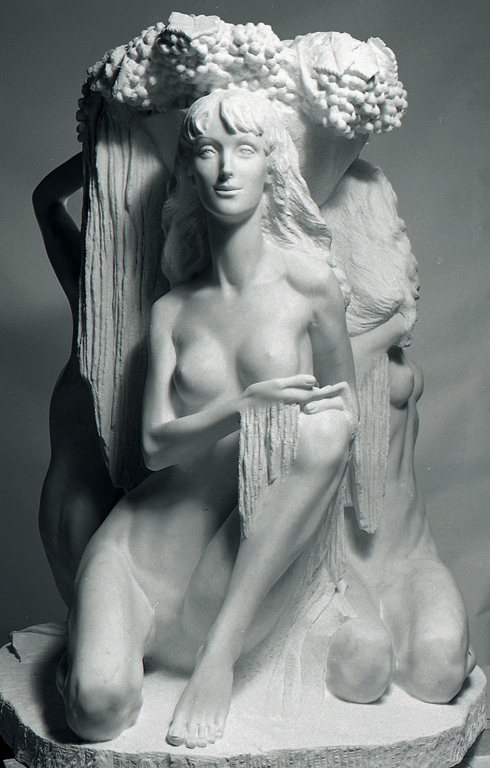 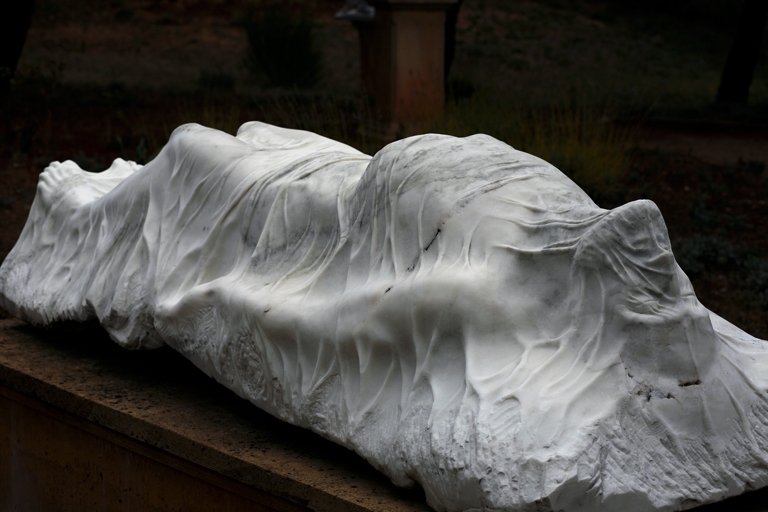 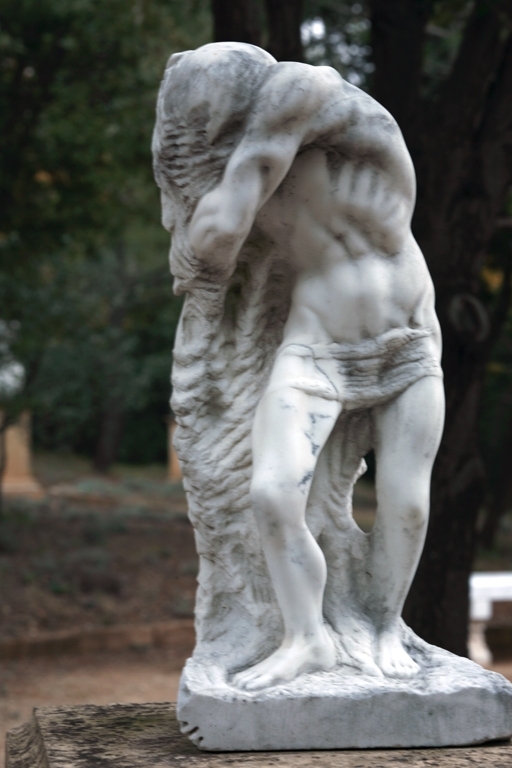 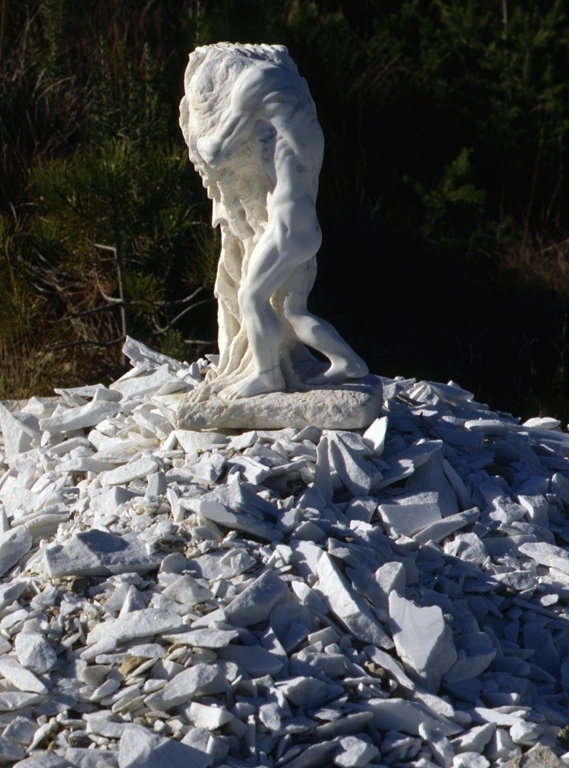 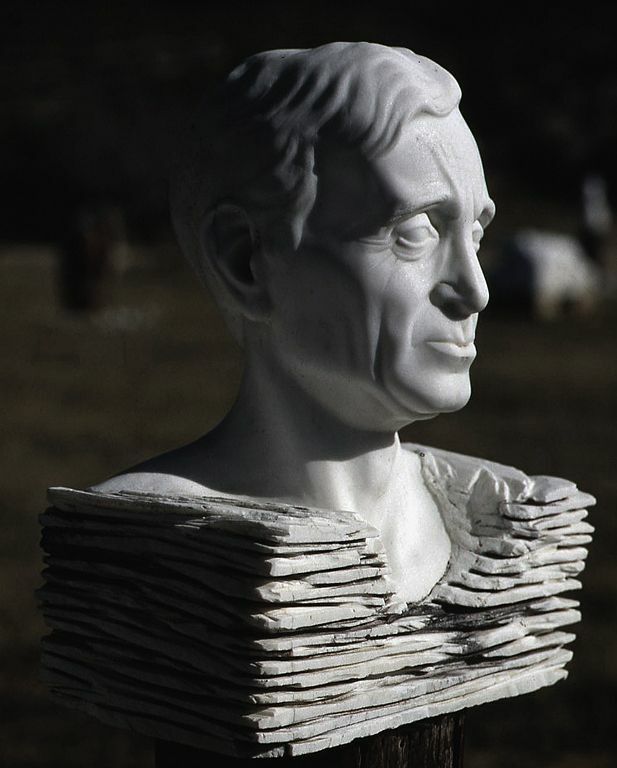 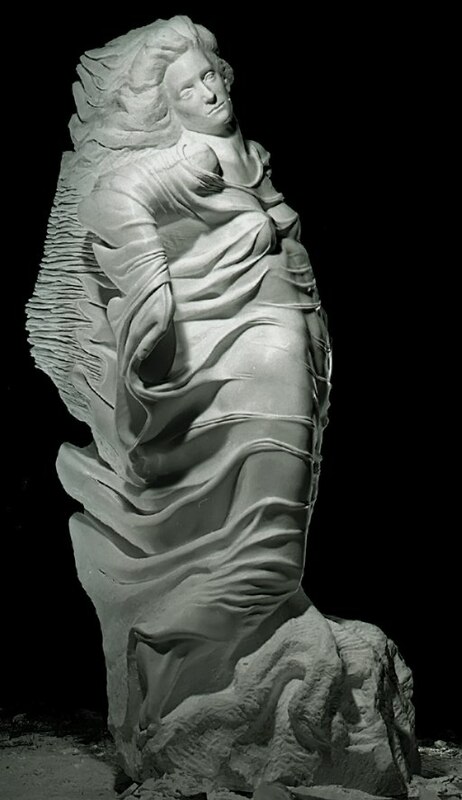 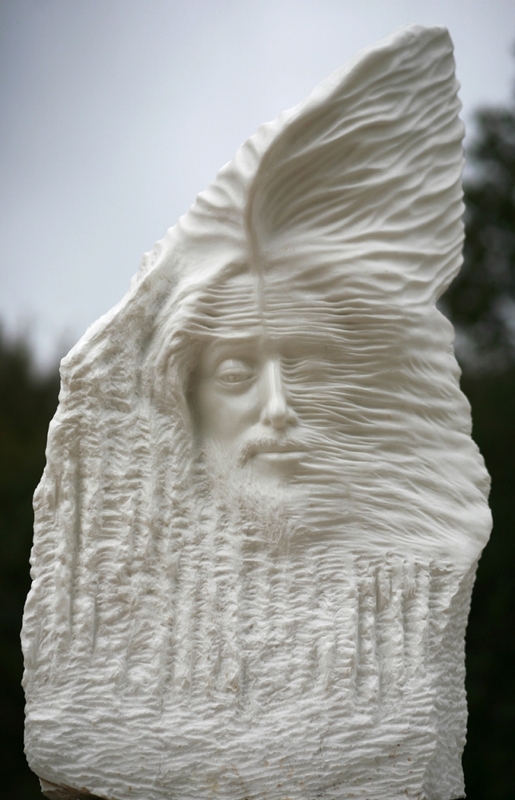 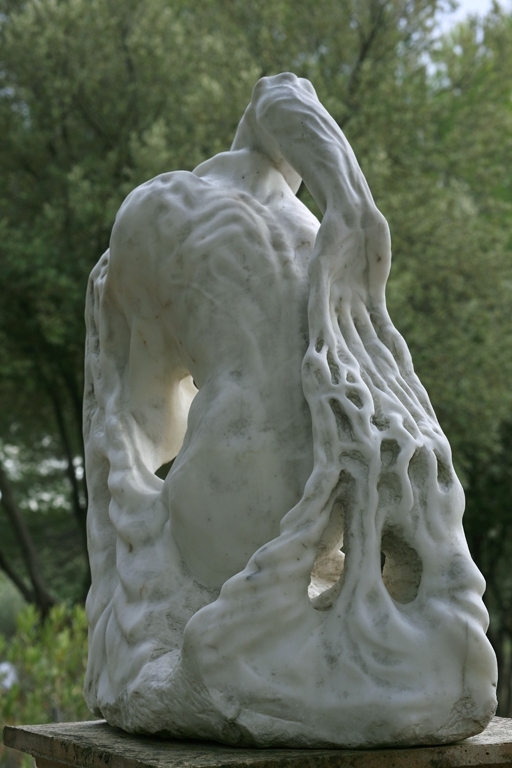 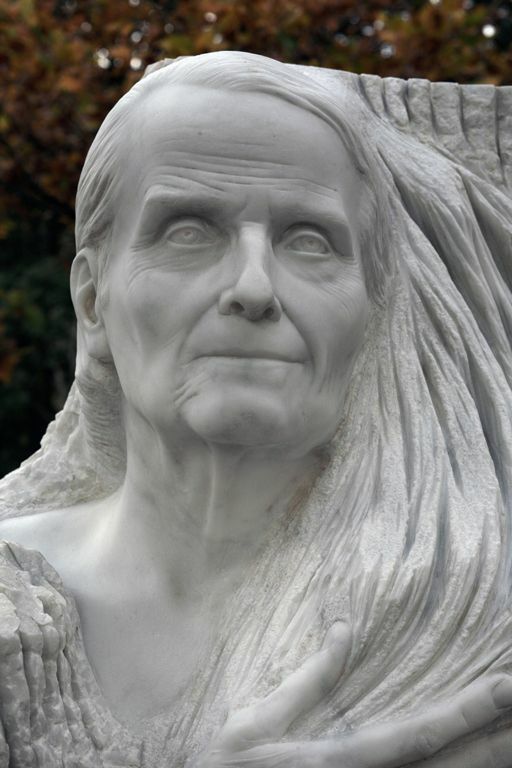 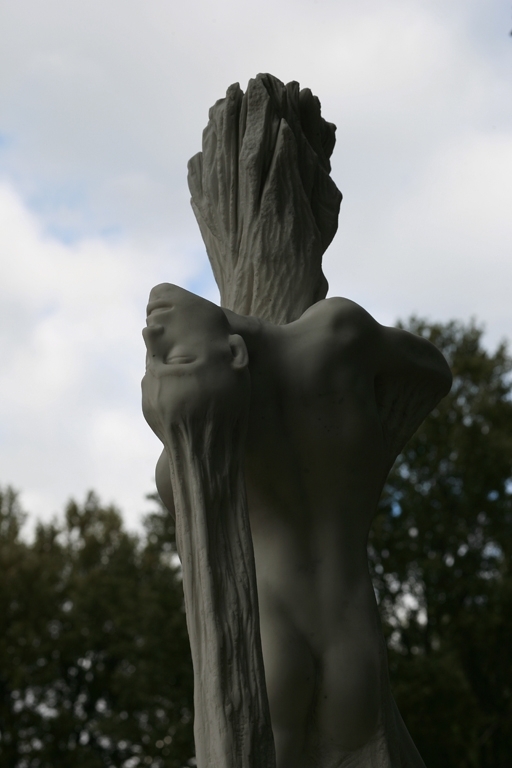 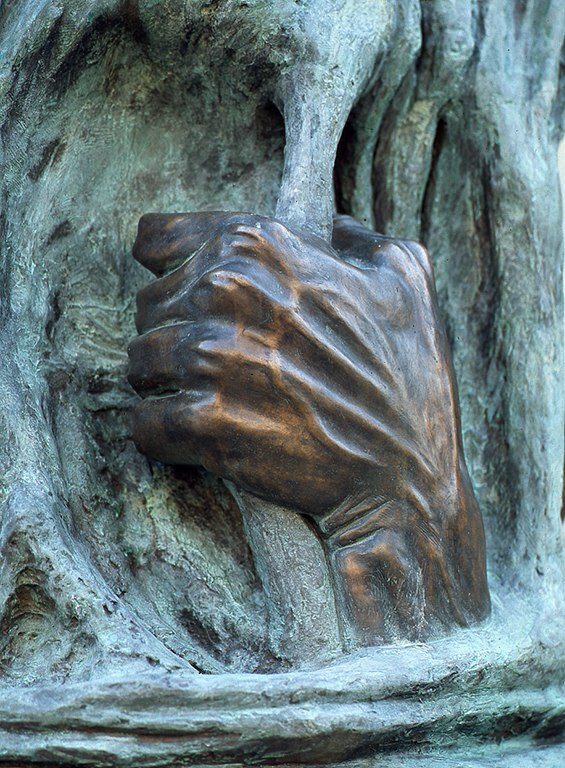 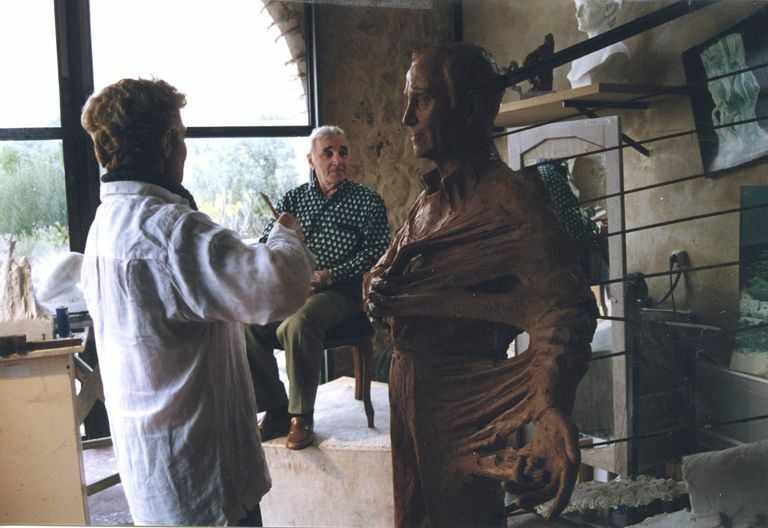 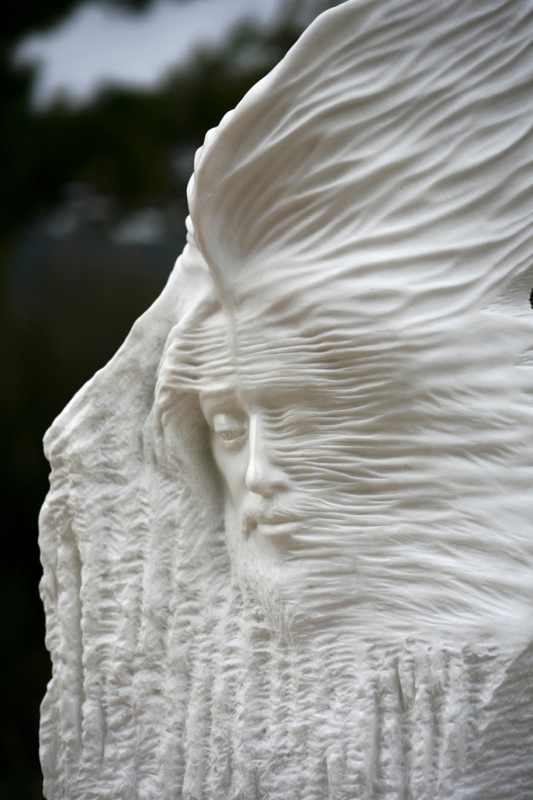 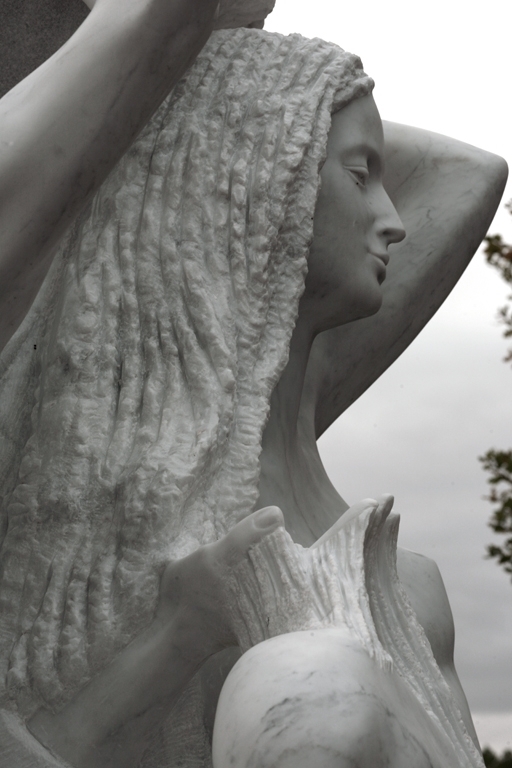 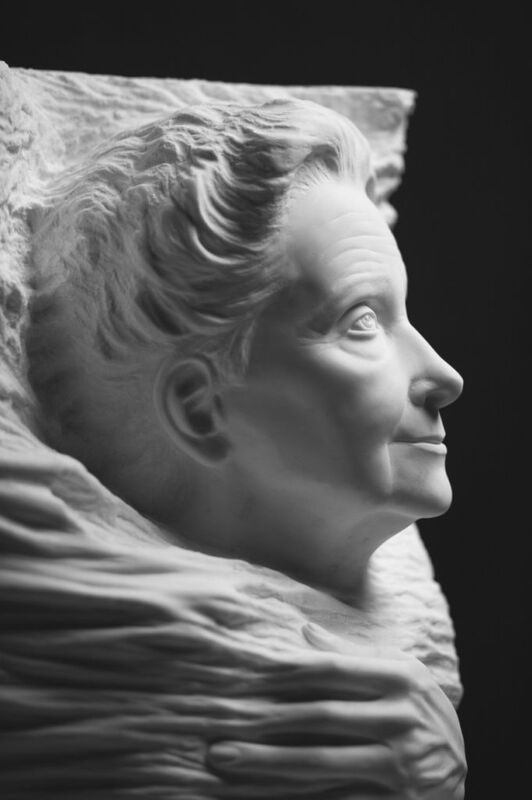 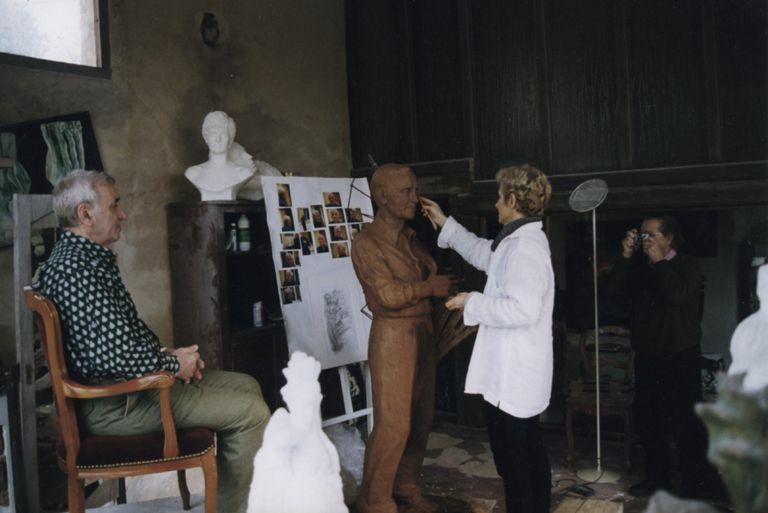 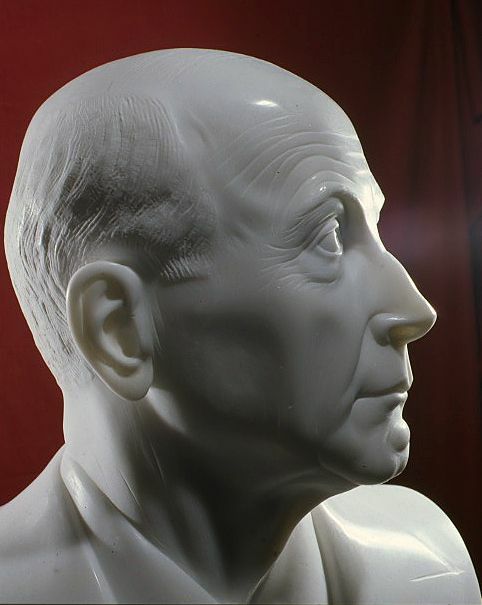 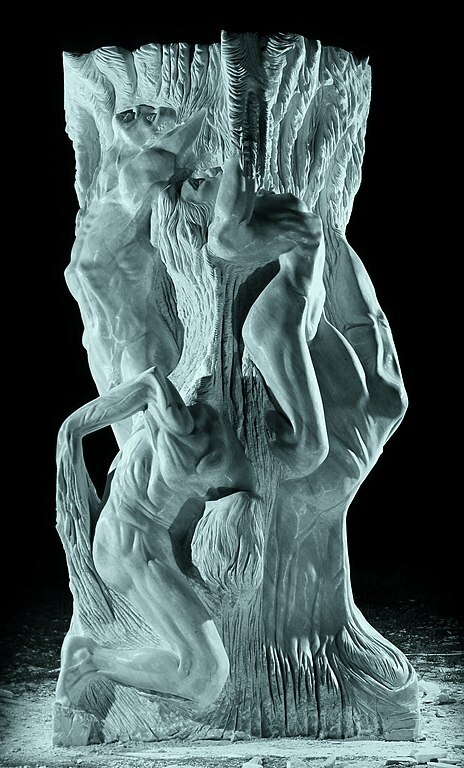 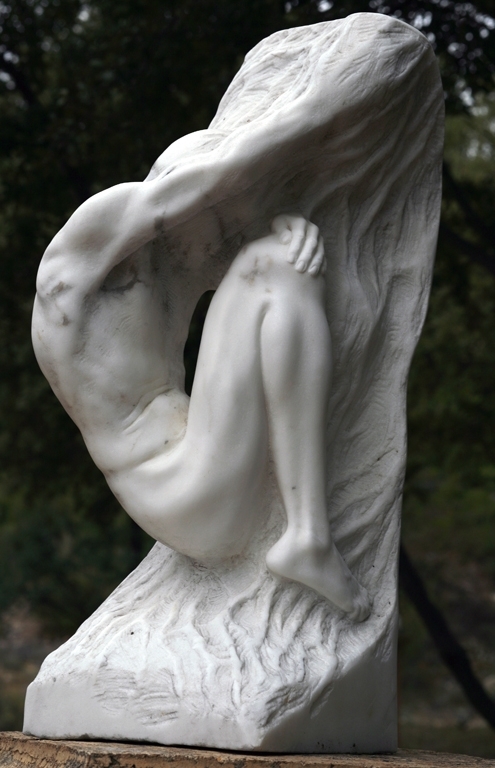 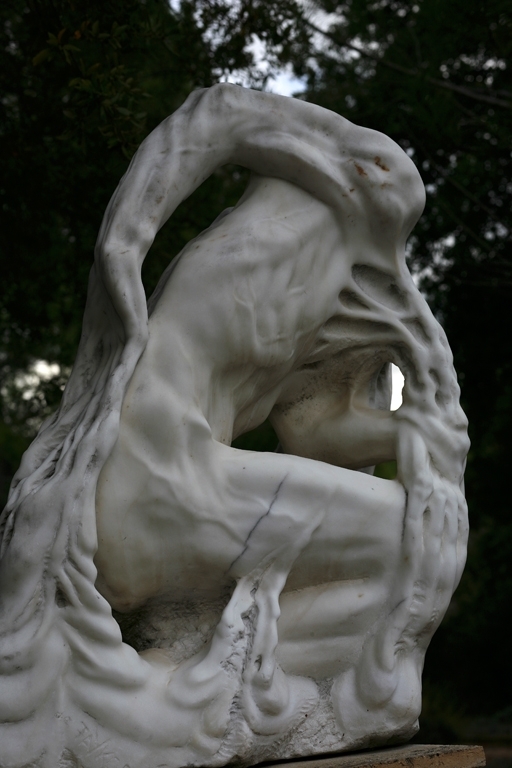 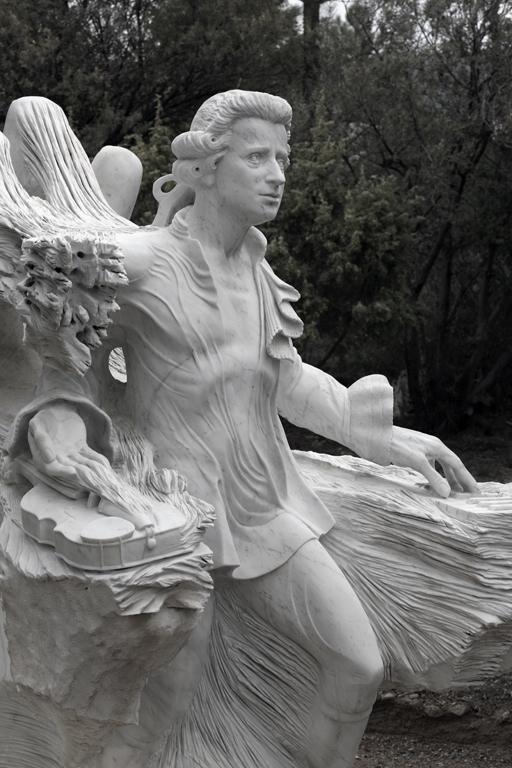 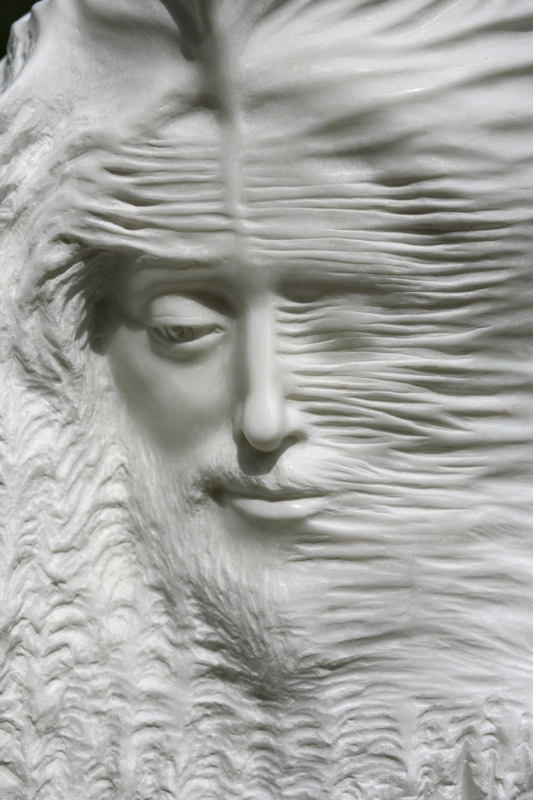 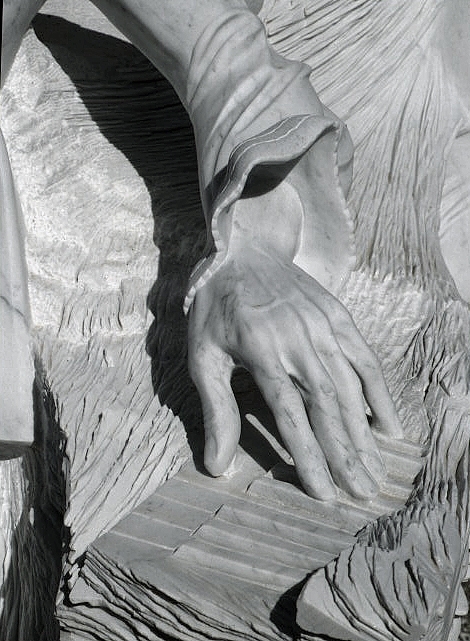 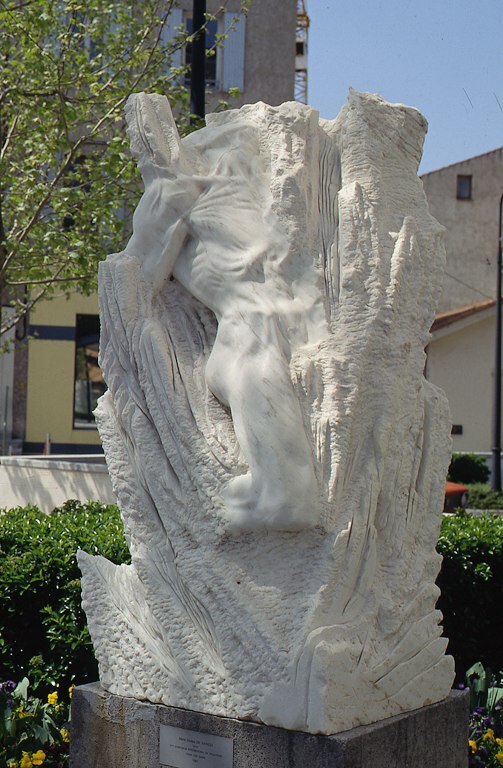 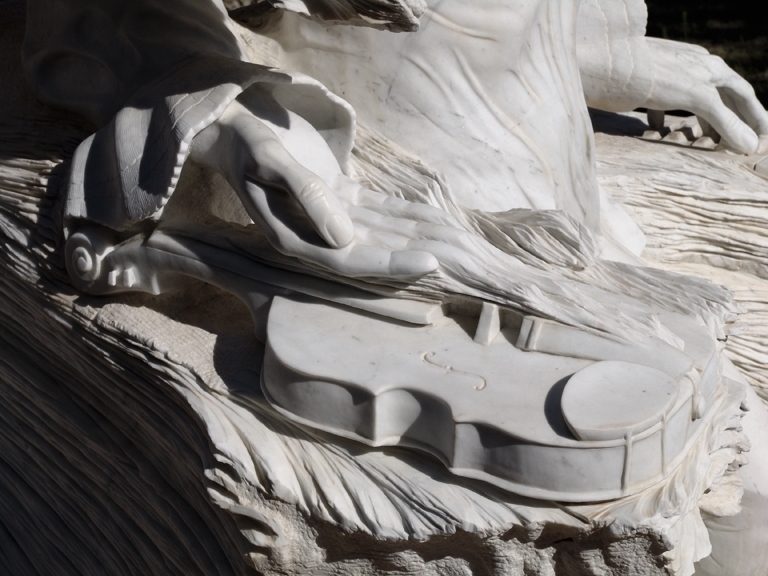 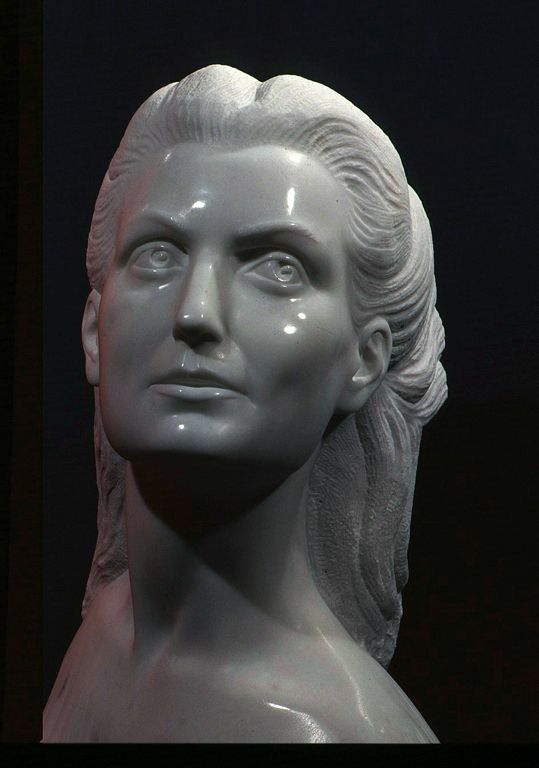 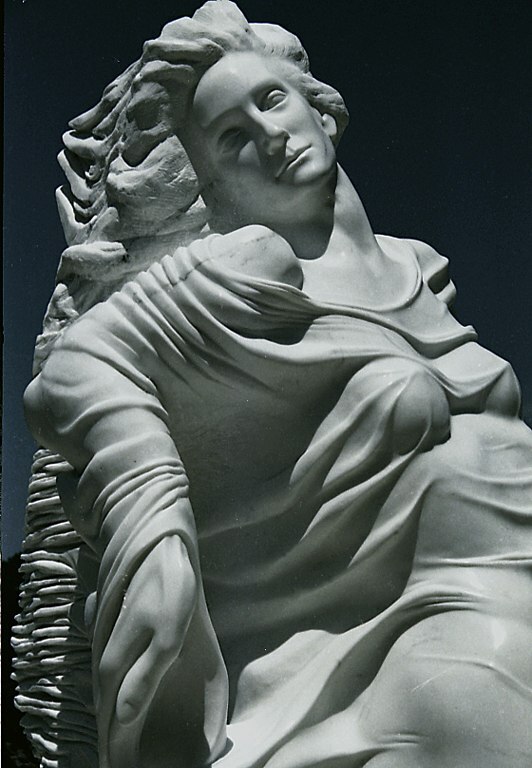 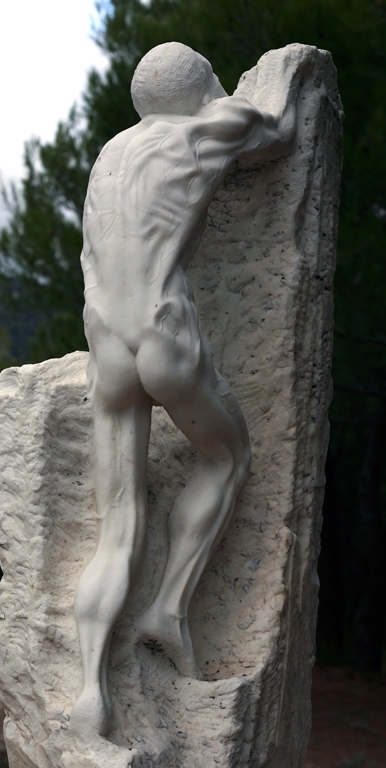 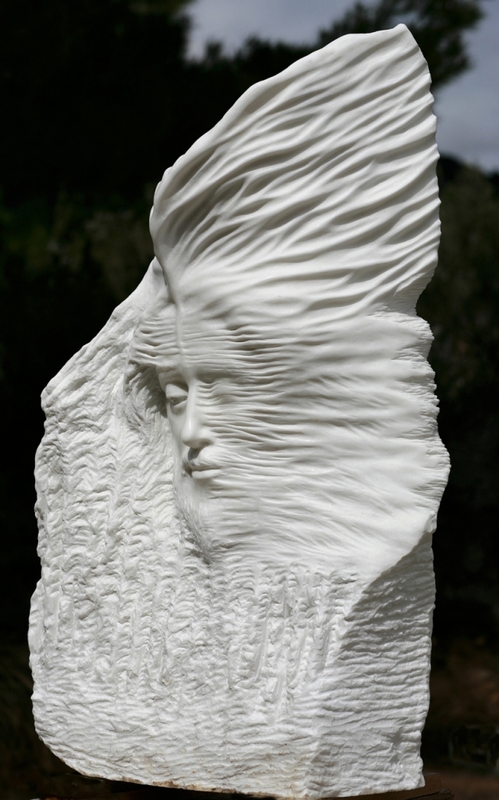 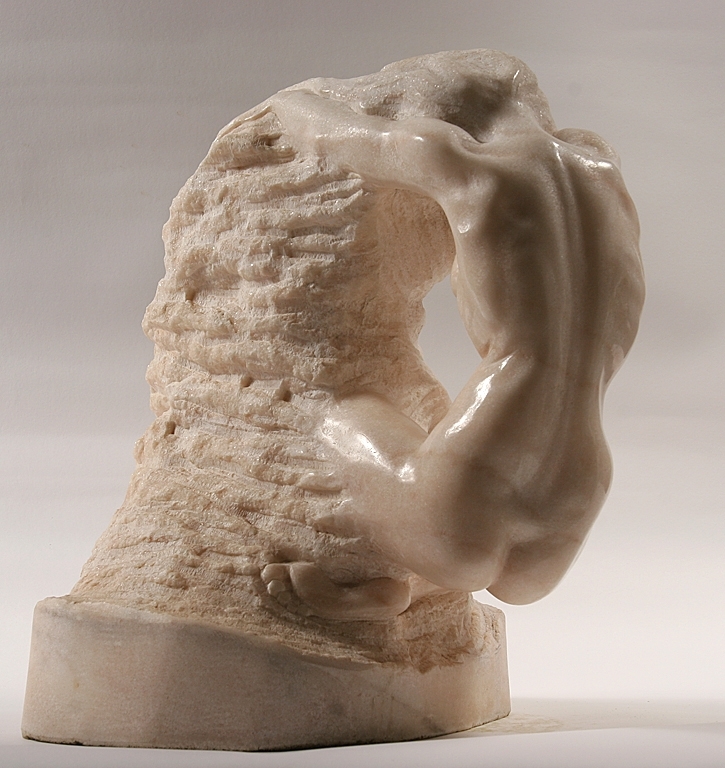 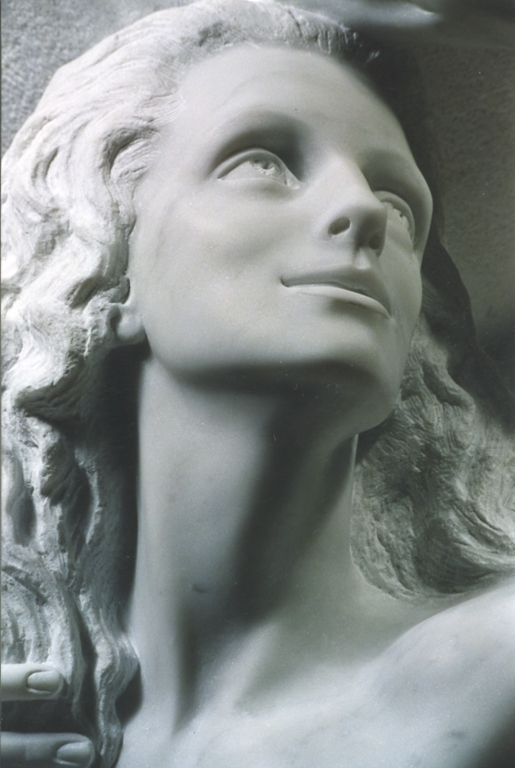 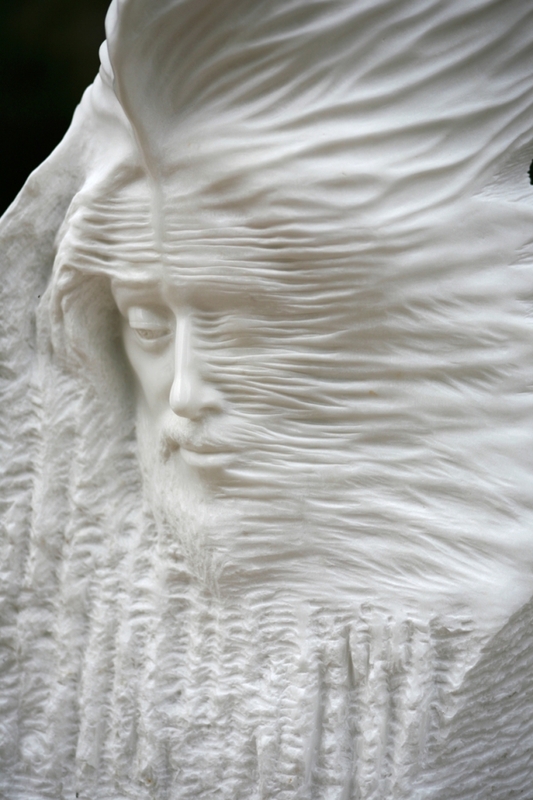 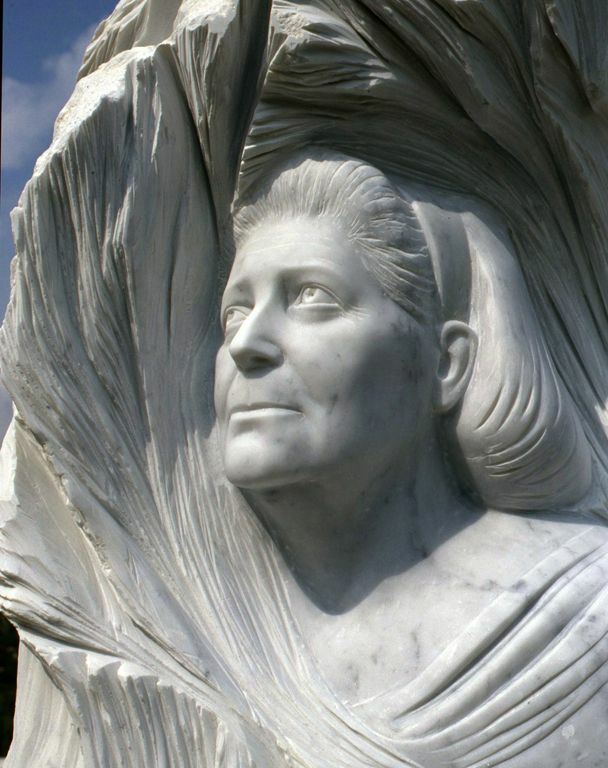 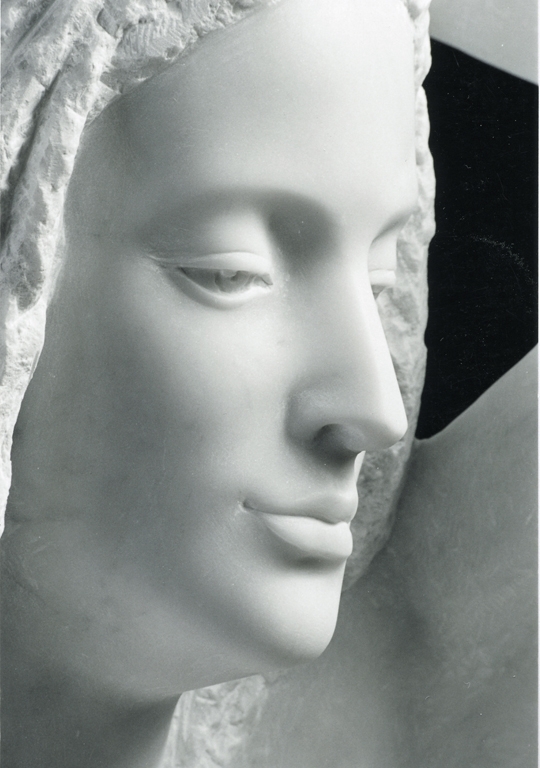 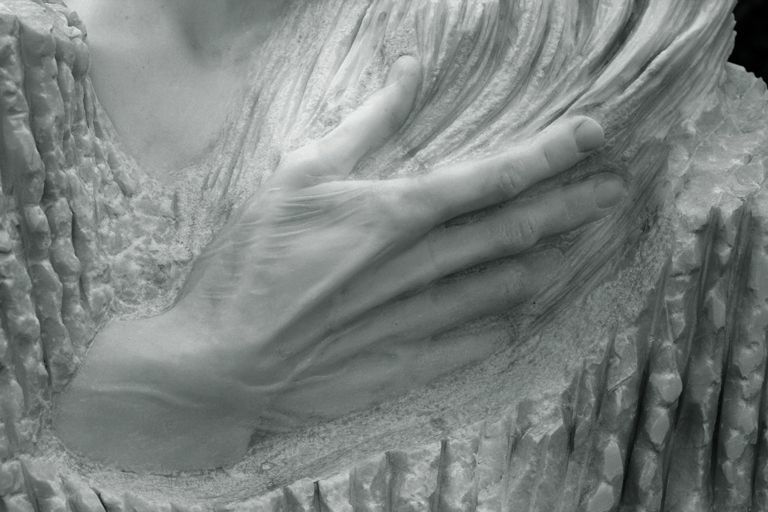 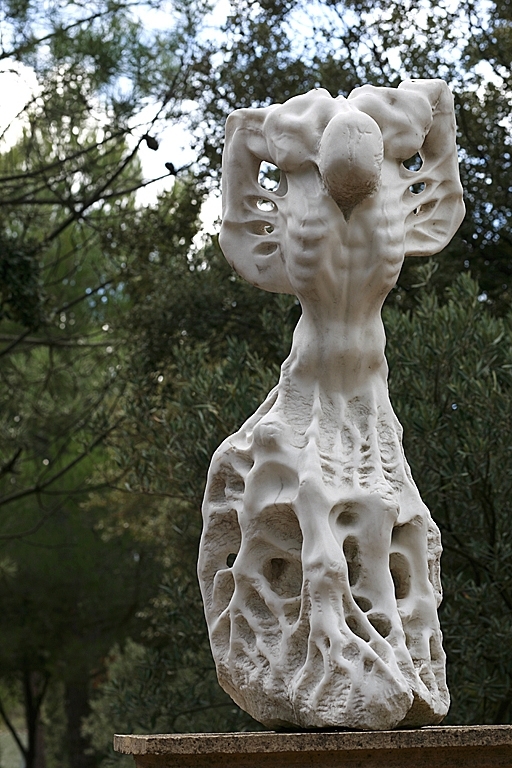 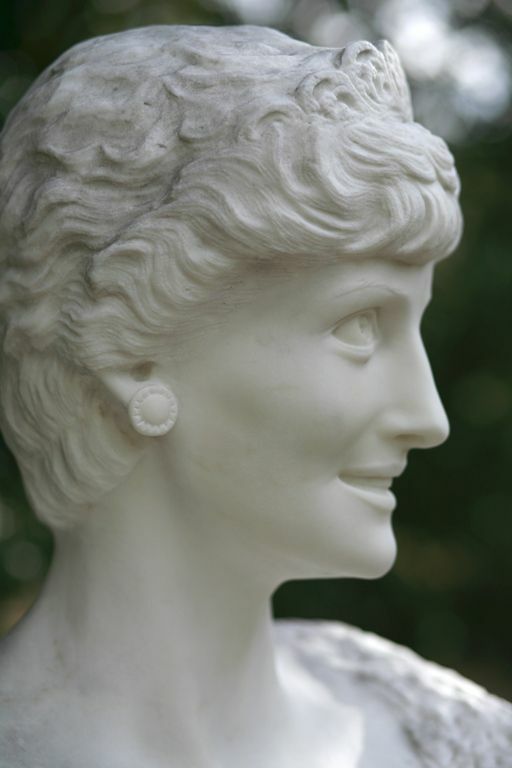 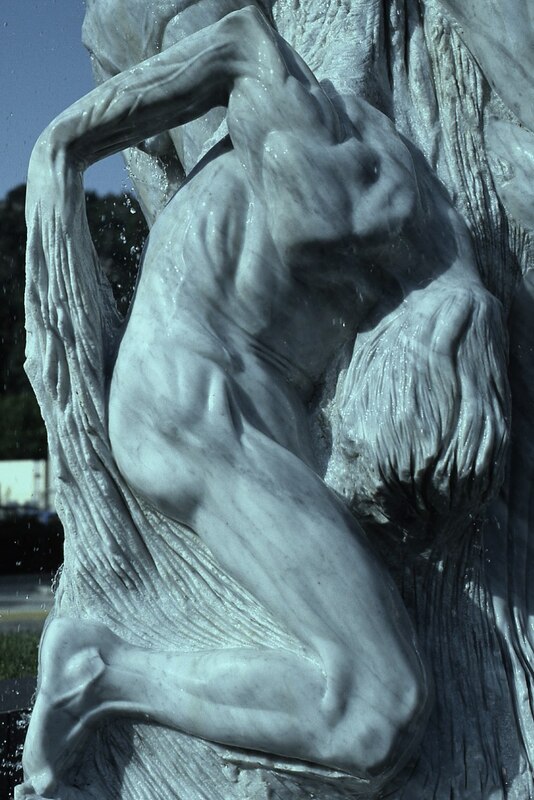 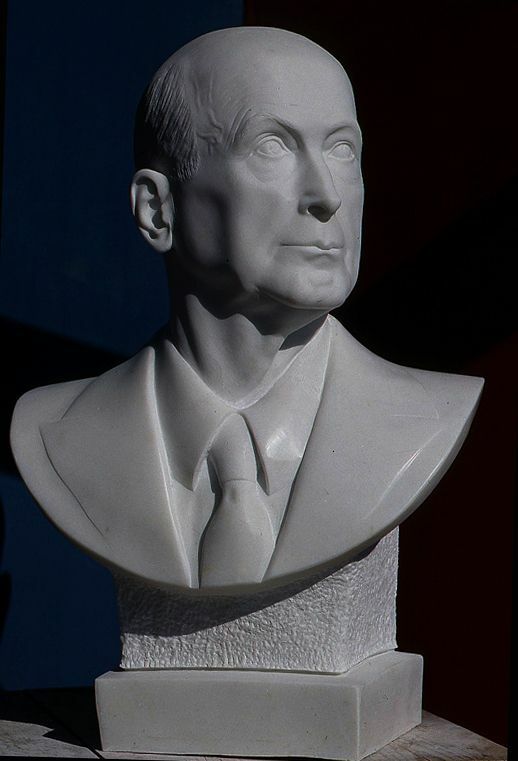 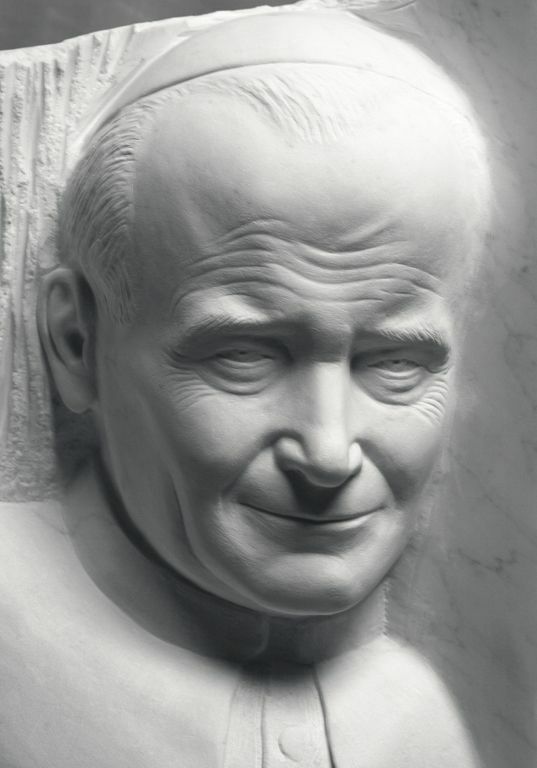 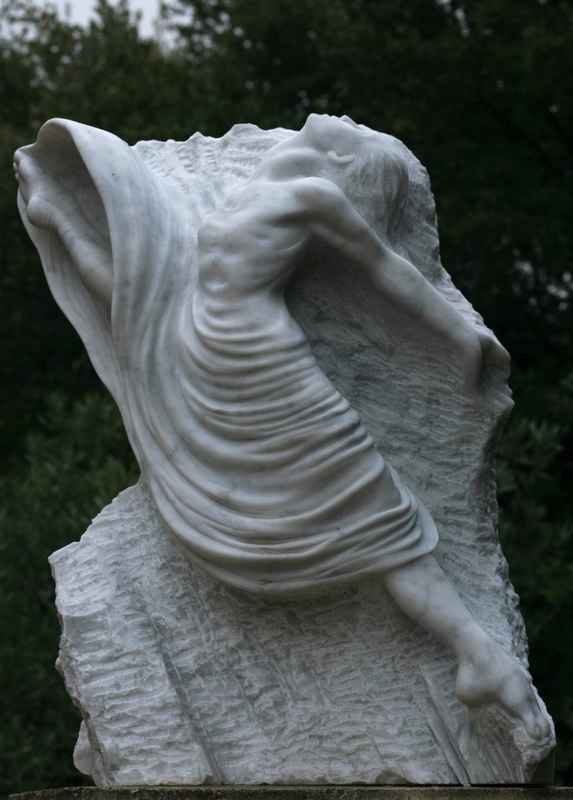 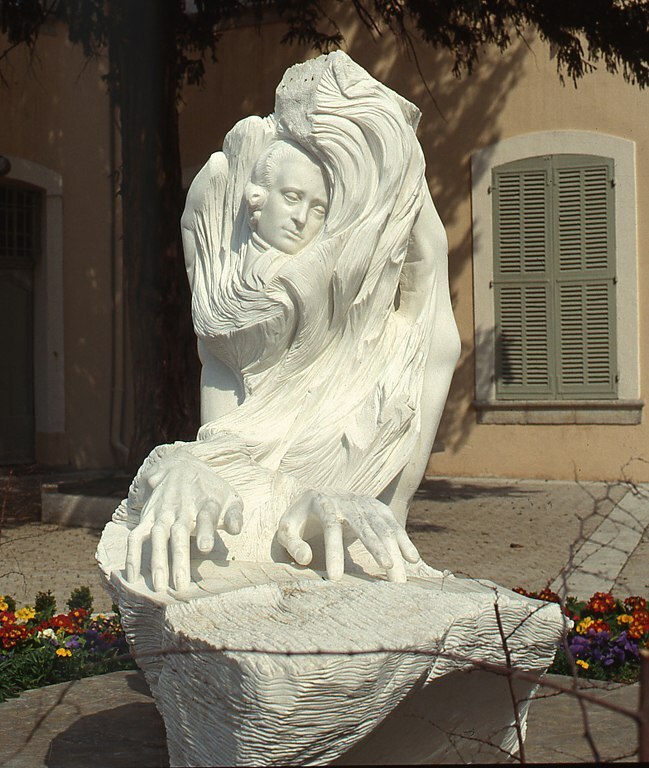 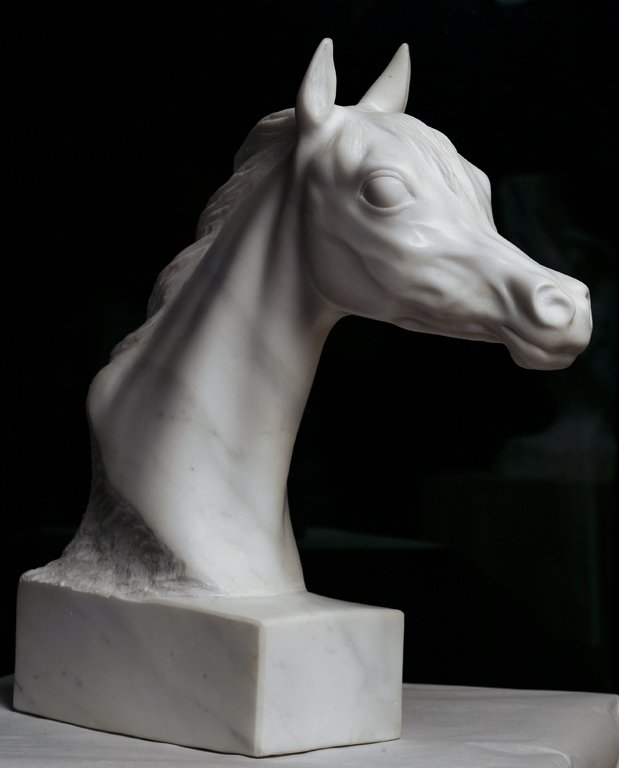 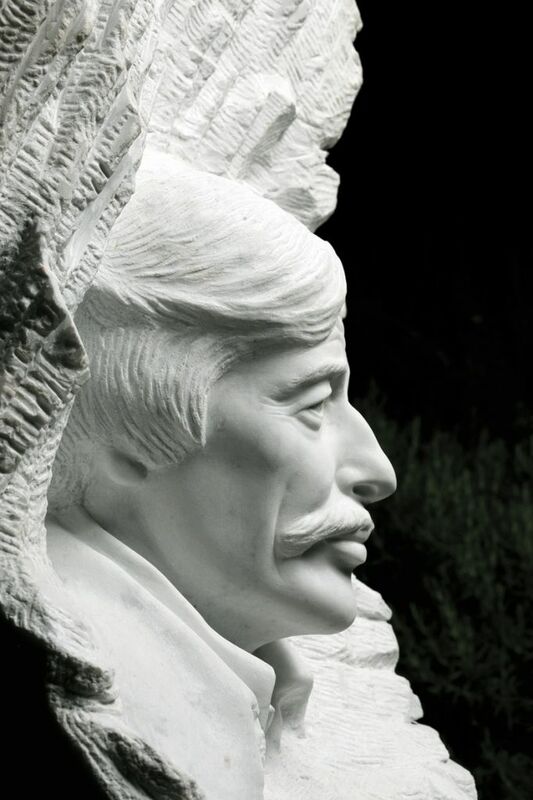 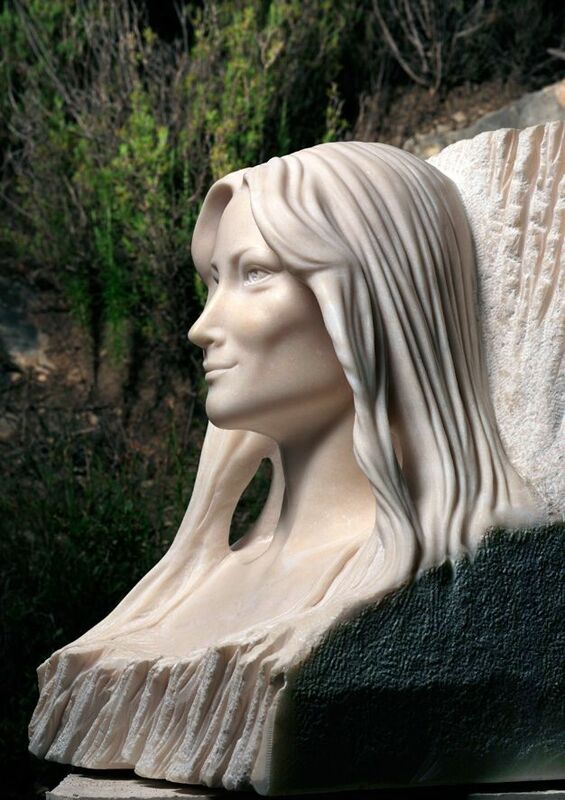 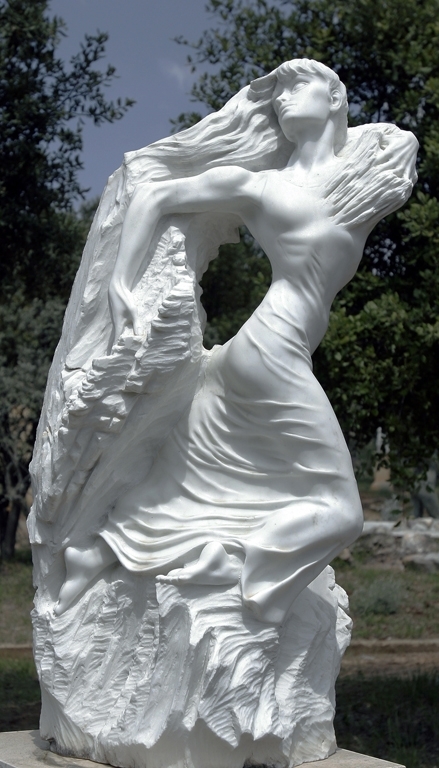 The sculpture was realized by the artist in direct carving and size in the Carrara marble. 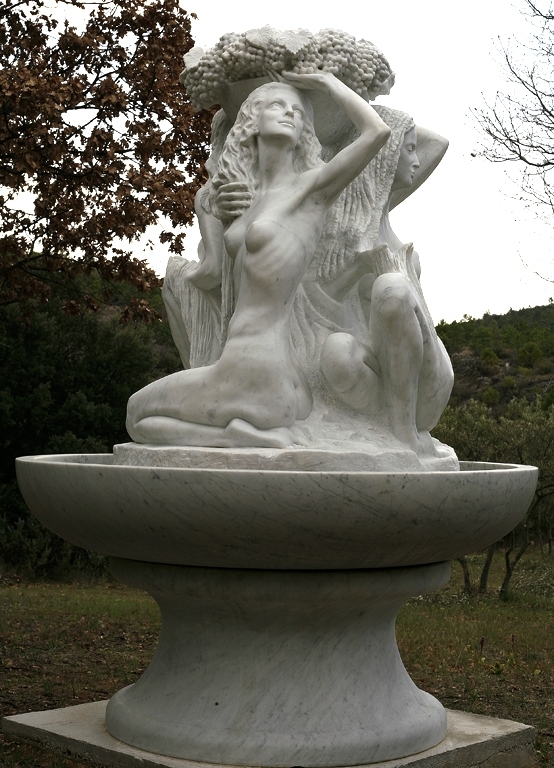 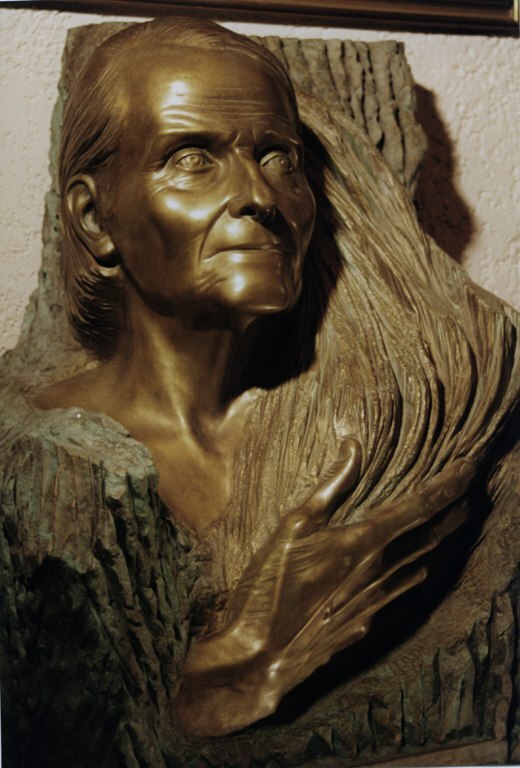 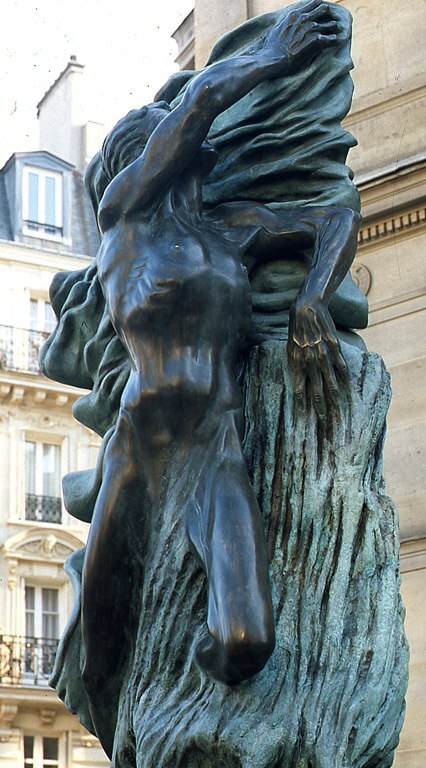 The dimensions of the sculpture with its bowl are of 2,50m high and 1,80 Ø. 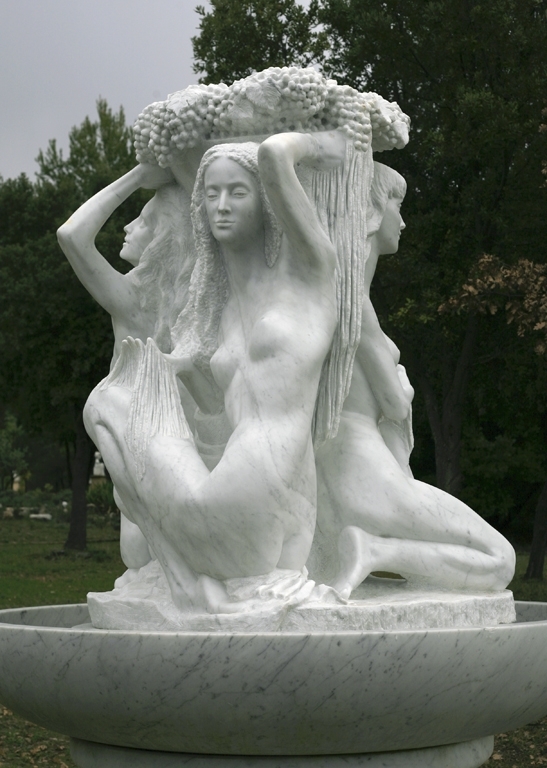 This fountain sculpture represents a bowl, overflowing with grape, surrounded by three women, three Muses. 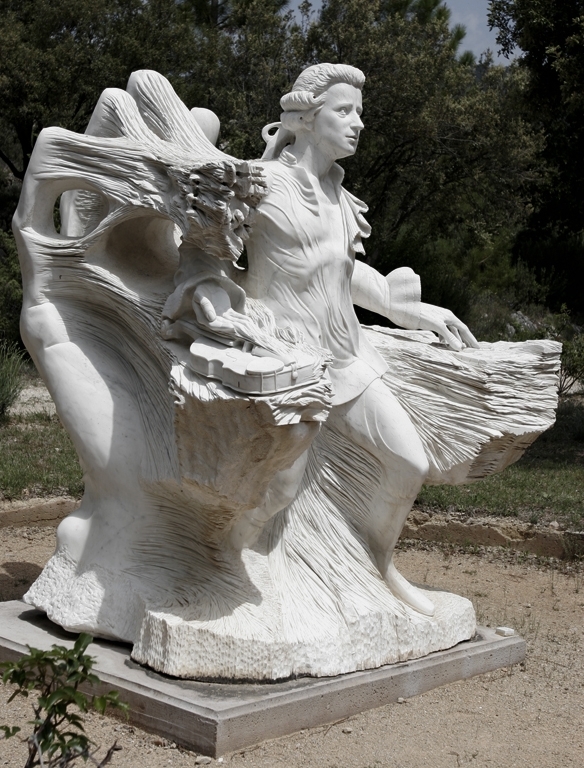 The water springs down from the clusters of the grape then streams along the body of the Muses. 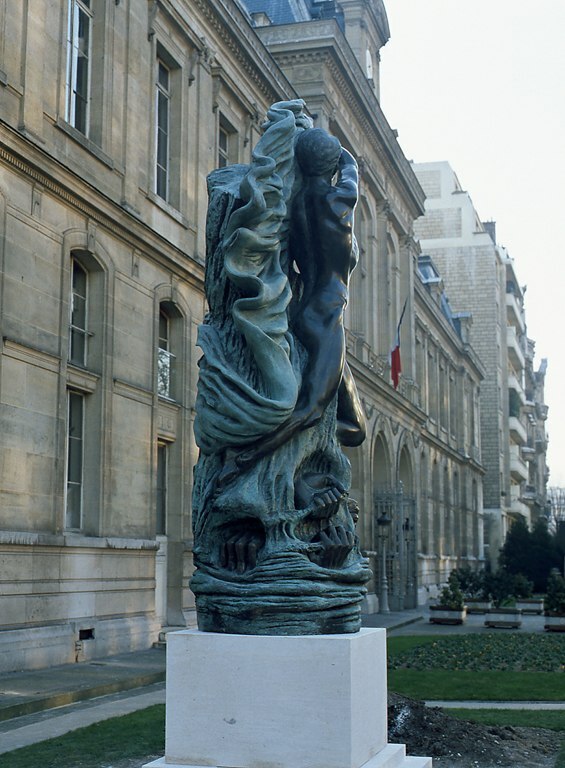 Touched by this precious liquid coming from the vine, like a beverage of life or immortality, these three Muses symbolize knowledge, initiation, and joy. 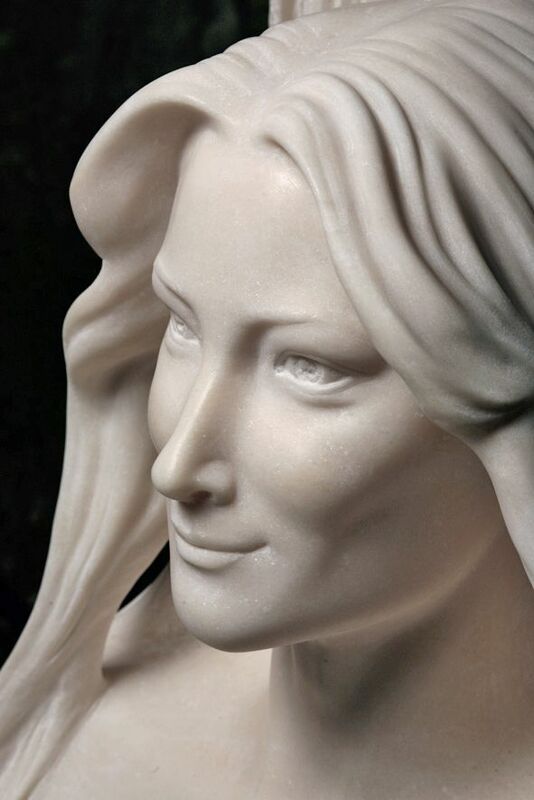 Beyond the beauty of their faces, they also symbolize, with the expressions of their attitude, the spiritual pathway of the soul. 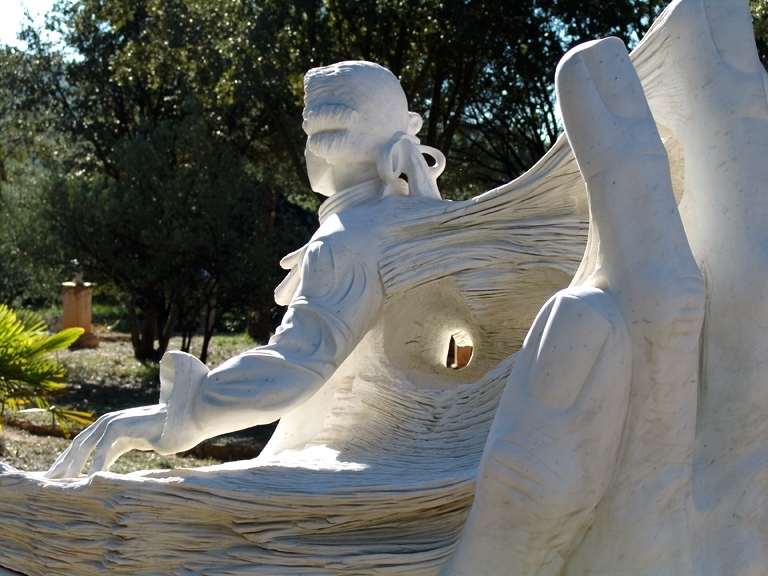 Since the most ancient times, the wine, beverage of exception has always been linked to the spirituality: from Dionysus, god of vine, who promises to help by the wine to conquer immortality, to Christianity, where wine symbolizes resurrection and eternal life. 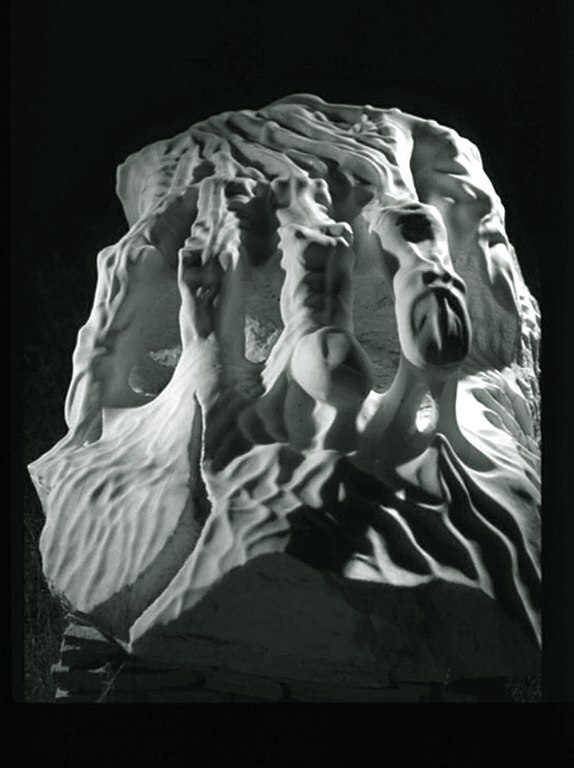 This age-old spirituality is represented on the sculpture by these forms of stalactites, they seem to grow by the streaming, in the continuation of hands and grapes, so that the glittering light on these forms in movement takes us back in time.